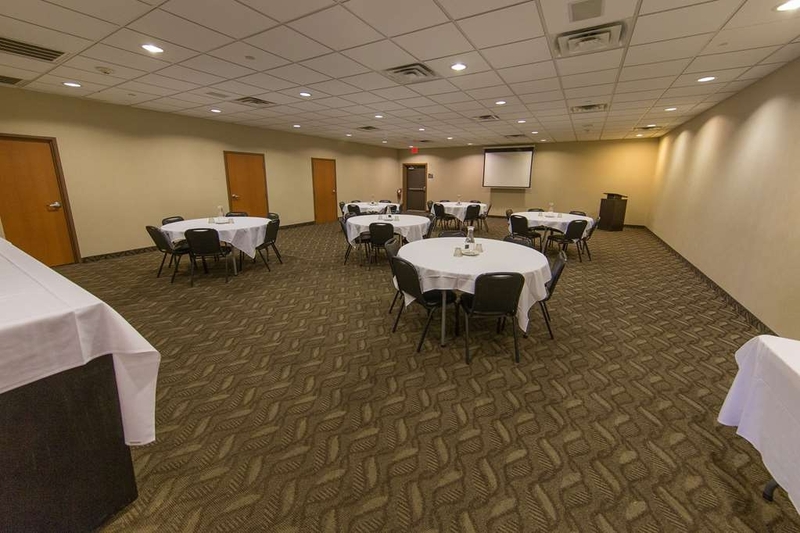 The Best Western Plus Portage Hotel & Suites is ideally located in the center of Portage. Come and experience our hotel near the major tourist attractions. Best price guaranteed and exclusive deals. 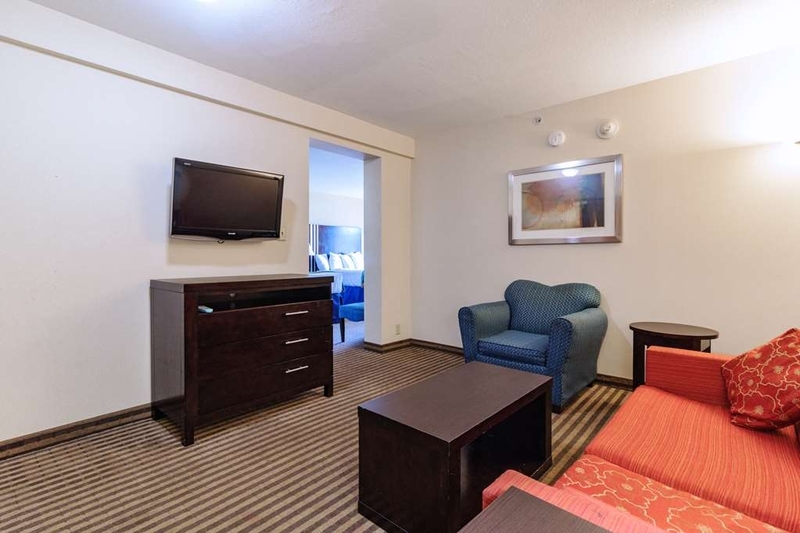 Come enjoy yourself at the Best Western Plus Portage Hotel & Suites. Our incredible facility is located directly off I-94 Exit 19 and 1. 5 miles from I-80/90 Exit 23 in lovely Portage, Indiana. 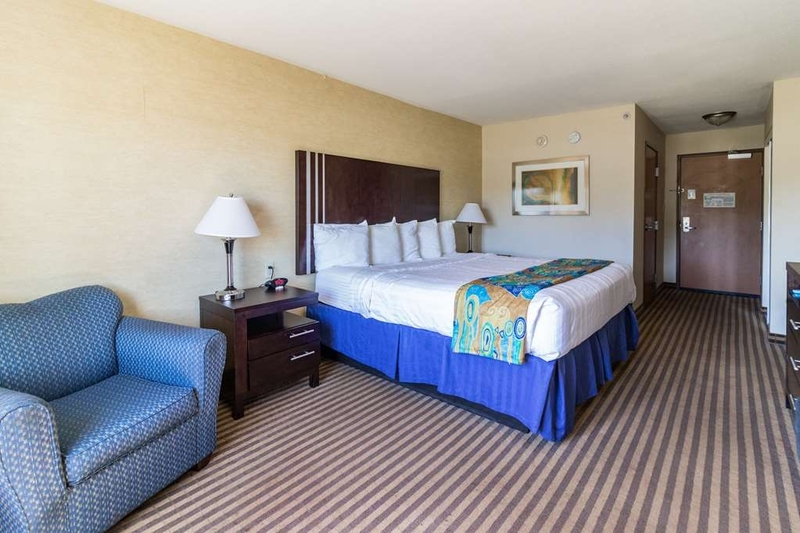 We are your complete hotel accommodations featuring 100 exquisite suite and standard rooms all including refrigerator, microwave, coffee maker, and flat panel TV's! 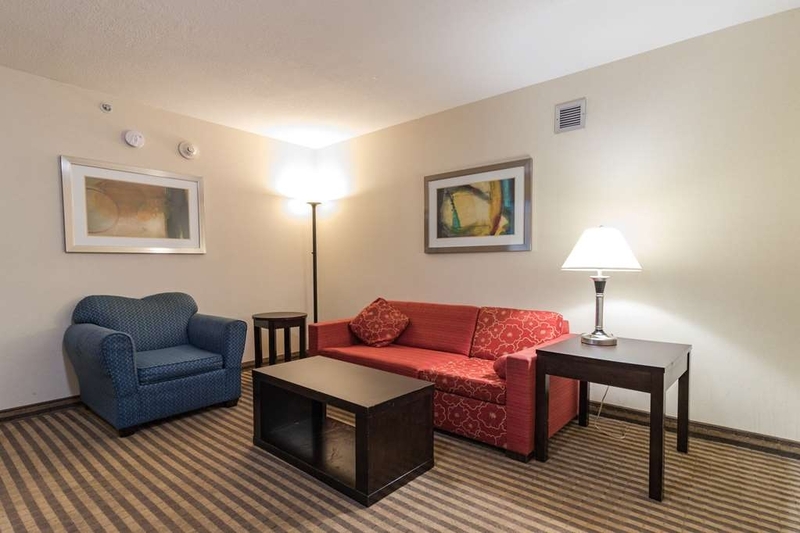 Able to serve families, business travelers, and transportation drivers alike, we offer incredible amenities to fit all unique needs. 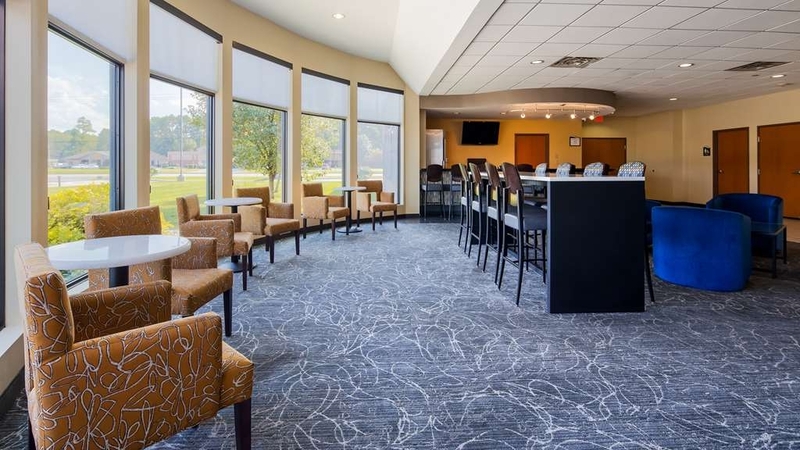 Start with complimentary full-hot breakfast, our BW Pub is open nightly from 5 p. m. - 12 a. m. We have a business center, 24 hour fitness center, 24 hour convenience center, and family aquatic center with Kids Splash Zone, game room, and free high-speed Internet access. Don't forget about our truck parking, perfect for small trailers, RV, and tractor-trailer vehicles! 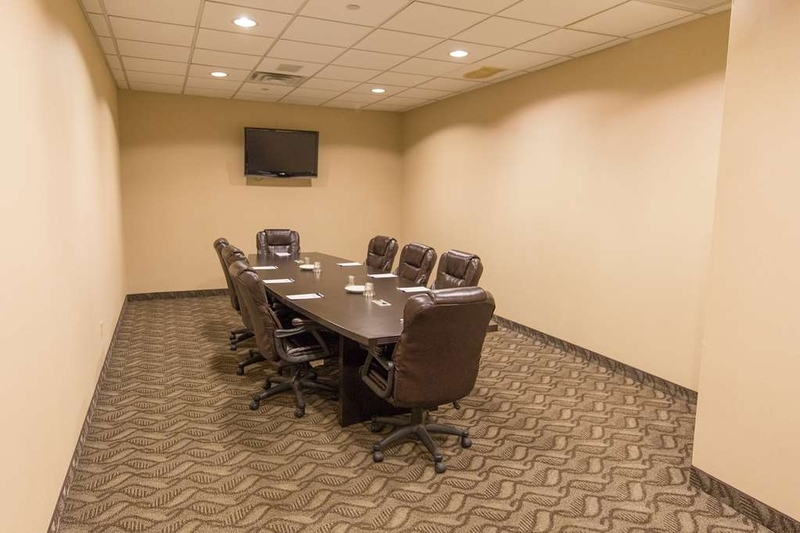 We also have meeting space able to seat up to 100 guests in our Dunes Conference Room, up to 30 guests in our media room, and up to 12 in our executive boardroom. Perfect for your meetings/seminars, bridal/baby showers, birthday parties, fundraisers/charity events, and so much more! Great local dining, and a short drive to other great activities you will truly enjoy your stay! Proud to be part of the Indiana Dunes, we are located minutes from the National Lakeshore Beaches, and 1. 5 miles from our local beach, the Indiana Dunes are sure to impress, with the perfect activities for a new adventure. Every guest that enters our hotel is given superior customer service from our award winning staff. we invite you to come experience us first hand, enjoy your stay, and we hope to see you soon! We had to change rooms on first visit as ours did not lock...They were very accommodating. Rooms are suites or regular...Clean and not noisy but the shower both stays was turned to come on the shower part first instead of faucet so I got a wet head and cold influx both times...not very nice...never had that happen in a motel before. Second trip we decided to have dinner in their small bar area...The bartender made a pizza with everything for $10. that was really mouthwatering good...The shampoo in room was completely empty and put back...never checked obviously and the lotion was half full...Not a good thing.The shower curtains barely cover the top of tub...so water goes everywhere. They need more help on busy weekends and when they have private parties which they had that Saturday. We were finishing up our vacation and it was late, so we decided to stop at this hotel. It was very nice inside and the room was great. The breakfast could have been better but it was edible. The internet was a tad bit slow. I could not access the apps I needed to get our routes home from there so I just used my data. Overall, for what we needed, it was a good hotel. "The worst hotel experiences ever"
Check in took 45 mins and then someone else walked right into my hotel room. We were both given the same room. Unbelievable. Room had a musty dirty carpet smell. Pool was cloudy and dirty. Yuck. Breakfast was the only part of the while stay that was good. Nice variety of food and plenty of it. "Great place for kids to swim." Our main reason for visiting was for the kids to get out of the cold and go swimming. They have an awesome splash pad area for kids. It's a walk-in so the depth increases to 2ft towards the back. Perfect for little swimmers. The breakfast was decent for a continental. Many selections and the stations were kept up on and refilled. The only issue was the cleanliness of the room. We moved the coffee table to sit as it was pushed up against the couch and there was crumbs under it and some of the furniture had noticeable stains. The bathroom could have used another cleaning as well. The fixtures were not shiny whatsoever and the bathtub was a no go. Thankfully we just came to swim and avoided the tub. If we were planning on staying more then overnight I would have changed rooms. We had several days off school due to weather. Decided To get the kids out of the house for a bit and burn off some energy! So we picked the Best Western because of the kiddie splash pad they offered! They had a great time as did we! 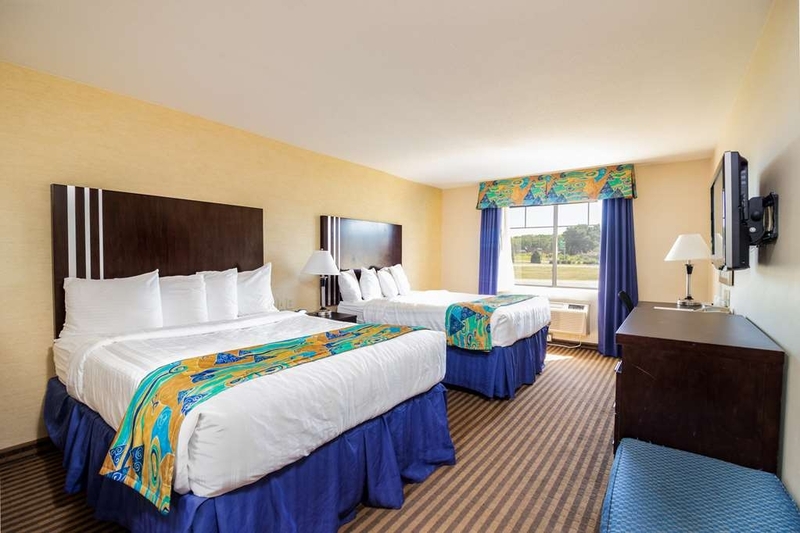 The rooms were nice and clean and the staff was very helpful and friendly! No one seemed surprised or cared about issues. Wrist bands are strictly enforced but I noticed 10 girls not wearing them. Felt unsafe in the pool area with the amount of people using it. Pool closed twice, that was the reason for the stay. Let the kids splash around and have fun. I am very sorry your experience with us was unsatisfactory. We strive to ensure the comfort of our guests in the pool area by issuing wristbands and monitoring entry. We hope you will consider staying with us again to enjoy our aquatic center. Thank you for letting us know about your stay. They over charge my credit card.. They did not tell me they were taking a deposit off my card either ..i still have not got my money back.. Everything else was fine food great swimming area my children love..
Hello- I am very sorry this happened. Please call us at the hotel so we can get this resolved for you. Have a wonderful day! "Could be Awesome if everything worked"
This hotel could be awesome if everything worked. We stayed there a few years ago and our kids loved it because of the kiddie pool area along with the regular pool and I loved it because of the hot tub. This trip wasn't so great. We checked in on New Year's eve. The lobby and our room were spotless and smelled very clean. Upon going down to the pool, the kids went into the kiddie pool with my husband while I went to enter the hot tub. Turned out that The hot tub was colder than the actual swimming pool. We were not advised on check-in that the hot tub was broken, which would have been nice since that was one of the reasons for staying at that hotel. Also, there weren't any towels in the pool area and in the 3+ hours that we were there, none were brought in. Upon turning in for the night, we turned on the heater in our room. It banged and clacked and sounded as though a woodpecker was inside of it. We eventually gave up and just turned the heat off for the night. The next Morning we went down to breakfast. Breakfast area was very clean and the food selections were great. My only complaint is that the chocolate milk was spoiled and I did not know about it until after two of my children took a drink. Upon notifying the woman in charge of the breakfast area, she immediately removed the rest of the chocolate milk from the cooler.Like I said, this hotel has been great in the past. Unfortunately our most recent stay wasn't what we were hoping for. Hi Jackie- I am very sorry to hear about your experience with the pool and breakfast. Your satisfaction is very important to us and I hope you will consider staying with us again so we have another chance to provide superior guest service. We are very sorry to hear about your experience at our property. 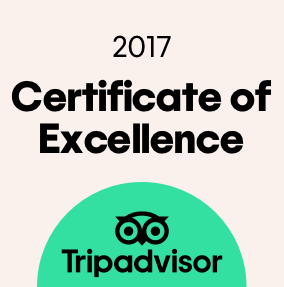 Your satisfaction is important to us and we hope you will consider staying with us again so we can exceed your expectations. Thank you for letting us know. Very Disappointed. Please note I never write these reviews. For one this hotel was by far the most expensive in the area so with that being the case we thought it would be the best and offer the best rooms and amenities. We were very wrong. We stayed in the one bedroom "suite" and I use suite very loosely. The handles on both dressers were both broke, carpet was coming up, things were not wiped down, there was hair in the tub and in the morning the TV was not working. They said the TV was not working due to the Satelite not working in regards to the weather. The weather was fine it lightly snowed for a few minutes but that was that. I could understand if it was a snowstorm. Next, the pool was shut down for over 3 hours during the times or roughly 4-7. One person said it was due to high chlorine another said a kid had an accident whatever the case no one was compensated at all. They said that in order to "compensate" they were going to keep pool open until 12.... Do you think my 4 year old understands this? Do you think she will be up that late? Horrible compensation and consideration. I will never stay at another hotel of theirs. Hi Kelli- We're sorry about the issues you experienced at our property. We will work hard to address these issues. Thanks for letting us know! Very thoughtful and kind staff with plenty of big truck parking. Call early during summer hours. There is adult beverage bar in the hotel. There is a adult beverage store by the parking lot. A nice Denny's across the street. Ext 19 from Rt 94 and go north to the red light turn west. Hi Mr. Donelson- Thank you for your response. We appreciate your feedback! Hi Lanyon- Thank you for your kind words. We appreciate your feedback! "New look, nice and quiet." The outside has been completely over-hauled. Easy check in, check out. The staff are friendly. The rooms could use some TLC. The wallpaper in my room was starting the peel away from the walls. The carpet in the hallway was also in need of repair. Hi Tony- Thank you for your response. We appreciate your feedback. We picked this hotel because of the pool with slash pad. Pool area was nice, but 2 features on the splash pad were broken and it ran out of towels quickly. Paying $160 plus tax for the room i expected more. 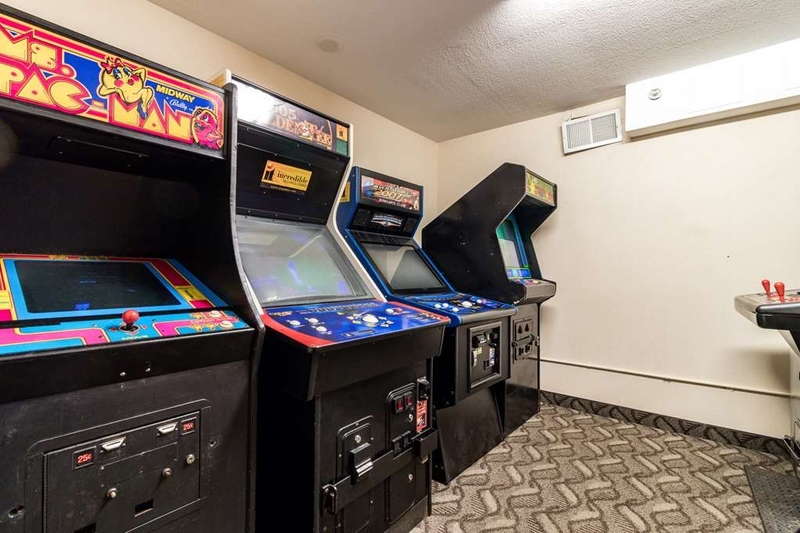 Fans in room were covered in dust, carpet was ripped, light fixtures were rusted, wood finishes were very worn, walls were cracking, breakfast dining chairs were almost all peeling, game room floor was dirty and vent in there was coming off the wall. At this price point i expected alot more, but i didnt receive it. Hi Tricia- We're sorry you were unhappy. We will work hard to fix the issues you have experienced to improve future stays. We hope that you will stay with us again so we are able to provide superior guest service! The room was spacious and comfortable. The price was more than reasonable. The complimentary breakfast was plentiful with a nice variety of healthy options--fruit and yogurt. We wish we could have stayed longer. Just a quick getaway with the family. And we enjoyed it completely! The rooms were spacious and clean. The staff was friendly and very helpful. Pool area was clean and fun. Enjoyable for both kids as well as adults!! Highly recommend and will Definitely return!! "Like your home away from home." Melody is great at check in and tries to set me up with floor preferences. The breakfast is first rate, I do not know the girls name but she works extremely hard to make everything just right. My room is always great and I get a good nights sleep. 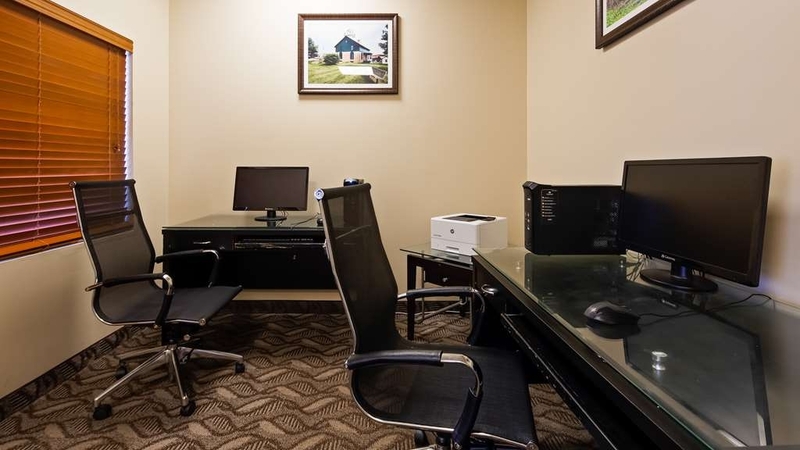 The amenities are just what I need and the location is great for my work. On 2 separate days, housekeeping failed to clean our room. The first time, they were asked 3 times to clean the room, but we ended up having to go to the front desk and request clean sheets and towels and made the bed ourselves (our kids had stayed there the night before). The second time, we had to get dressed for a wedding and we heard the housekeeping supervisor tell the housekeepers to do our room next; an hour later, they hadn't, so we put out the "do not disturb" sign while we changed. Our keys stopped working at least twice in our 3-day stay. They were friendly, but I got the feeling they were understaffed or at least undersupervised. The hotel itself was nice enough, nothing too special, but fine for our needs. The sound-proofing between rooms was a problem or maybe we just got lucky 2 nights with really loud neighbors. Rob- We're sorry you were unhappy. We will work hard to fix the issues you experienced! I have only been a couple of times.I like this hotel because the pool area has a section for babies and toddlers to play. There is also a bar for after the kiddos go to sleep that is inexpensive. The lounge area near the bar is nice. Unfortunately, we haven't experienced breakfast yet. "Nice stop on the way to South Bend"
We booked a suite and it was enough space for adults and kids. Breakfast was fine. I liked that the small lounge that served cocktails in the lobby stayed open a little later. The pool was a combo splash pool and swimming pool. I have 4 kids aged 1 thru 8 and the 1, 4, and 6 year old spent the entire time. It's not big, but the kids loved it. 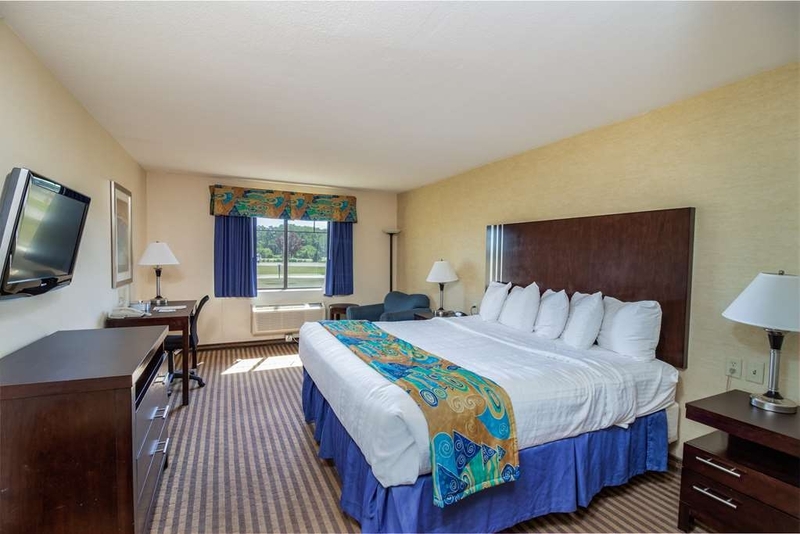 We may have found our go-to hotel whe heading to South Bend, Good price as well. The hotel is very modern and clean. Staff are friendly enough though very busy. Tried to eat at the lounge but service was slow and decided to eat elsewhere. Breakfast area is pretty small and table/chair weren't very stable, my table wiggled the whole time. I would stay here again. Nothing exceptional nor poor, just okay...a little overpriced. Beds were comfortable to me...eggs were kinda gross (didnt know you could really mess up eggs that easily). People being very loud through out hotel at 11 30 pm... Just an ok stay. Mice, not clean, don't stay here! The initial appearance is nice but don't let it fool you. The rooms were not clean and 2 time mice were spotted. Very gross. Luckily they had a bar so I could drink my woes away. My husband and I were travelling with our 3 year old grandson to Indiana for a family reunion. I made our reservations on line, but since pool time was important for our grandson, I decided to call the Portage hotel direct to ask about the pool area availability (was it closed for maintenance, repairs, etc). After calling the hotel 4 times over a 5 hour period with no answer, I called the 800 number on the website to inquire about the status of the hotel in general. When I finally was able to speak to someone at the Portage hotel, I was assured that everything in the pool area was open and functioning. Unfortunately, this was not actually the case, as the hot tube heater was broken. Nice place for the money. We arrived at 10pm without a reservation and got right in. The desk was pleasant and helpful. The room was nice and the Breakfast was very good. Very clean place. I would definitely stay again. "Poor Quality for the Price"
I was told that we couldn't have pizza delivered to the pool. My sister had it delivered just last month to the pool. (Her child had his birthday party a month previous there. I chose the hotel based on a recommendation.) When the pizza lady arrived, she was also confused, because she said she had delivered there plenty of times. It was for a kids birthday party and we had to all get dressed, dry, and get up to the room to eat. This postponed the festivities by a bit. The game room was full of old games that barely worked and not all of them were even plugged in. Centipede was fun, since the movement ball was broken and you couldn't move. And the police trainer game was fun too. The screen was wavy and fuzzy and you couldnt even hit the targets. What a joke. The fitness room and pool room were so musty and stagnant, it was hard to breathe. Ironically enough, the very reason I chose that hotel was due to the pool being heated. Wouldn't you know it? The pool wasn't heated that day and the hottub was broken. You could go in, but it was ice cold. Everyone loves an ice cold hot tub! The rooms were clean, so that was nice. Although when I asked for extra towels, I was told they would have to see what they had. (Kids birthday party) The TV was paired with a remote that had no input button, so plugging in the gaming console was a learning curve. The clean room means I would stay again if I just needed to sleep, but not likely to stay again for any other reason. Mind you. I came to the hotel from further than I needed to for reasons that were not fulfilled on my particular stay. So, all in all, not the best experience. We should have stayed at the Hilton in Merrillville. I found out later that I could have got a better room for cheaper. All in all, a disappointing experience to say the least. Melanie was a super nice lady that was very helpful during my check in. Great stay, had a nice continental breakfast that worked with some diet restrictions. The bed was always pretty good, didnt have any back pain the next day. The hotel has alot of semi truck parking. "Room was nice.... but a PLUS?" Based on previous stays at Best Western Plus, I am not sure this ranks up there with the rest. The room was nice, so yes - thats a plus. But the hotel it self was not at the same level. Checkin was easy (as always), staff was easy to talk to but no real help... elevator over there to the left... no info on the bar. Overall - a decent place, but it could use some refresher in customer interactions. "Hotel could be excellent with a little staff attention"
Overall our stay was fair but there were several lapses in service that really pulled down this rating. The pool needs much more attention. There were never any towels available and each time they had to be requested the staff came in with perhaps 6 towels which were immediately gone. With the number of people using the pool at any given time there should be stacks of towels there. The pool was fine but the small number of chairs is ridiculous given how many people use the pool. There was nowhere to place a towel t-shirt or cover up while in the pool, other than the floor and nowhere to sit since the two table there were taken the whole weekend. Finally the large parties that use the facilities need to be monitored. I had to call the front desk twice near midnight to get the booming music turned down/off in the room next door. Overall a nice clean hotel with very nice staff but these problems with customer attention really made the visit less than it could have been. We stayed with our 4 grand-kids on New Year's Eve and it was fabulous. While the pool area was crowded at times, the staff did an excellent job of keeping towels supplied and area clean. We'll be back! No complaints! Great stay and wonderful staff! I was very happy with the location and the surrounding area. The staff was very hospitable and informative. We ran into another family in the lobby and was able to visit in the lobby area. I could not have been happier with this stay! The place and rooms are pleasant, the lobby is inviting. Staff ranges from helpful to unhelpful. There is no working "business center", though there is wifi, which was intermittent. Convenient location. On our way to South Bend for a school visit. Stopped in for the night and found a warm and cheerful staff ready to assist and help with check in and suggestions for dinner. The lobby was clean and well lighted. The room was clean and bright. Great stop as my family traveled across the Midwest. Hotel vey accessible to 90 and 94. Hotel looks like it has had some recent renovations, very nice lobby/bar/breakfast areas. 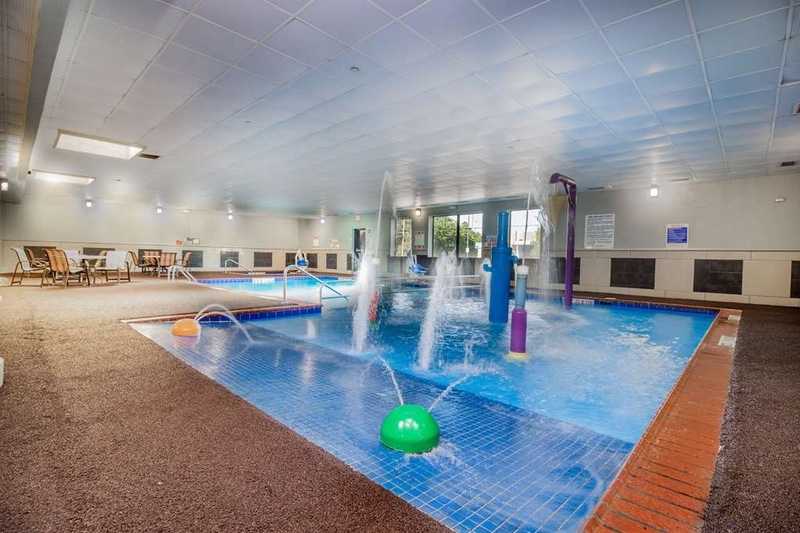 With little ones along we chose this hotel for the indoor pool and splash area. Kids had a great time swimming and playing. Hotel had basic but pretty extensive breakfast options, something for everyone. The double suite was great for our family of 4 to have a little extra space. Would recommend for families who are looking for a nice place to stop and have a little fun while on a long drive. "Always an amazing stay at Portage Best Western Plus"
Always a great experience when staying at Best Western Plus Portage, IN. The staff is always friendly very helpful. The rooms are great clean and comfortable. This is alway my first choice in hotels when I work in the Chicago area. Hope to continue staying here for many years to come. Staff was so much fun here. The truck drivers passing through were great to deal with. Rooms were fine. Best western looks great, and we were all treated so kindly. I was very impressed with everyone's kindness. Enjoy having a kitchen and bar available. Have been asking for Sam Adams Boston lager for a few months now, would love to finally see it stocked. Food usually good- when the kitchen is stocked. Wraps could use flour tortillas instead of whole wheat- and menu prices seem to differ from computer prices. Other than that- a wonderful place to stay. No need to leave hotel. 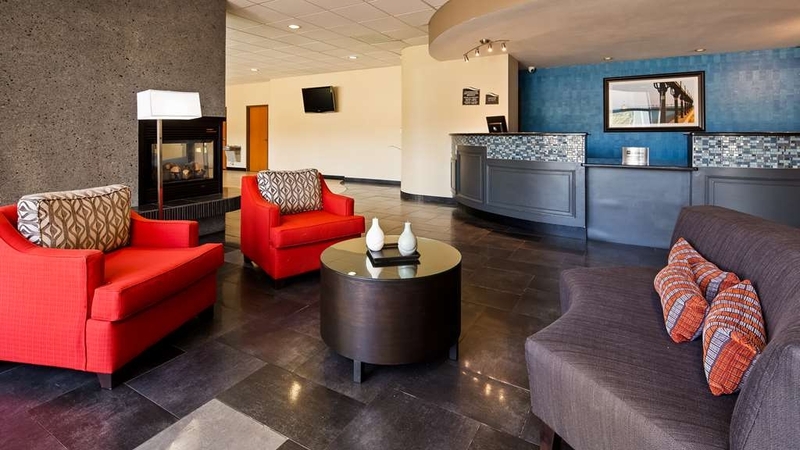 "Stayed at Best Western Portage, In"
We stayed for one night to attend a wedding. The staff at check in was super friendly, but couldn't offer me a room on a different floor. Breakfast options make staying here a good value especially if you have kids! We were in room 108(?) Noise from running kids, chatter in the hall, spotty tv reception (due to rain) and what appeared to be a wad of dust around the wall outlet ruined it for me. Right off the highway exit, good location for people just sleep one night while travelling on the road, Denny restaurants just opposite to the hotel, so if you check in late in the evening, you can find something to eat. Hotel is quiet and clean, breakfast is ok, same to other best western hotels, but the quality and the varieties could be improved. I had this hotel as my wedding hotel and I am highly dissatisfied. I stayed Friday and most of my guests stayed Saturday as my husband and I were leaving Saturday for our honeymoon after the wedding I didn't see it necessary for us to have Saturday also. This took 3 phone calls and my mother in law going there in person to handle them not booking Saturday just Friday. UNACCEPTABLE. Mind you I have called 5 times to make sure as the bride and bridal party room that we were getting ready in Saturday during the day we would be ensured late check out. I was told yes no problem every time. I asked multiple times for 2pm check out and was told ok no problem. Friday comes no problem, we check in and everything is great. Saturday morning everything is great we have a great breakfast, breakfast being the only good thing the hotel did. My makeup and hair lady come and everything is going great no problems. Then about 10 we have a knock at the door we open it and it's A man saying we have 1 hour until check out. I said no we have late checkout. He says ok and on his way. 30 mins later another knock, it's a lady and she says we are not allowed late check out and have to be out in 30 mins. I said no we were promised late check out by Chelsea at 2pm. She says ok then 10 Mins later a phone call saying we have to be out by noon, noon is the latest for late check out. They state they have a huge number of guest checking in for an event going on and they need to clean our room. I tell her I'm the bride and it's my event and per Chelsea I am not checking out until 2pm. She is super rude and says I'm writing this down and I'll let you know what she being Chelsea says. Umm ok! Go ahead. At this point I am fuming this is my wedding day and this hotel and staff are ruining it. Then at about 11:45 I get another phone call from Chelsea. She states we have to be out in 15 mins. By this time my mother in law is on her way down to work this out. I said I asked you repeatedly for late check out at 2pm and you said ok she said I'm sorry but that can't happen now. SO YOU WAIT UNTIL THAT DAY, THE DAY OF MY WEDDING TO TELL ME THAT. UNACCEPTABLE. I freaked. I couldn't even believe this was happening. They wanted the room ready for my guest check in at noon. Ok but where was I and my bridal party to get ready? She just kept apologizing offering no resolution. I said are my guest here? If they don't or aren't there to check in before 2 what is the problem? My wedding was at 5pm, no need for someone to take the room before 2pm. This hotel wanted to get the room cleaned for my guests so they could be ready before me?! Makes zero sense. I hung up on her because she offered no help she just kept saying sorry. She and this staff are incompetent. How do you run a hotel with no problem solving skills what so ever. My mother in law comes back to say that 2 pm check out is fine. Now fast forward to our wedding night we got back and the bartender agreed to stay open late which we appreciate, until she started being rude. My husband and I were only there for not even an hour and I have zero control of my guest that are there. She wanted me to kick them out. No if you have a problem you do it. I was on my way out for my honeymoon and she is asking me to tell people this and that. Listen if the hotel has rules then you as a hotel take care of it, not me. I don't work there. Now come to find out the bartender started pouring unwanted shots because she "wanted to get rid of the bottle and they were on her" only to charge my mother in law for the drinks!! That is ridiculous. This is outrageous and I'm infuriated that after we brought all this business to you, you would treat us this way. This hotel is full of nothing but incompetent workers. I had guests call several times for the block of rooms and to see what their reservation was for with ZERO help from the front desk. Their response was alway umm please call back when Chelsea is in. How can you not look up a reservation. I will never EVER recommend this hotel to anyone. "Graduation trip for our only grandchild to Chicago with his Granddaddy and Grannie Sept. 2017"
We were traveling through with a toddler and didn't know where we would be staying. The staff was pleasant and helpful at check in and helped me get a room for the night even without a reservation. The hotel was clean and seemed well cared for. We were in town for a Wedding. A lot of family members made reservations with the Best Western. 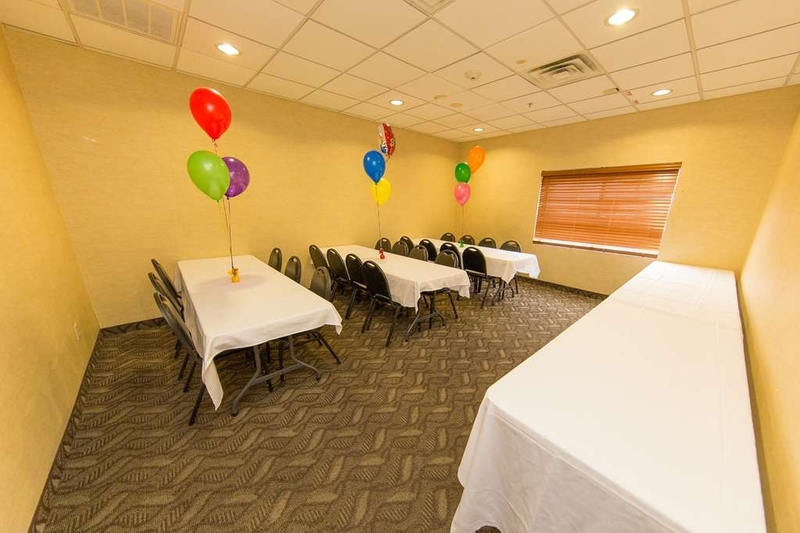 We used the conference room for the time period between ceremony and reception for refreshments. Also used the Shuttle bus service to get to the reception hall. Worked out very well. We were headed from Minnesota to Niagara Falls and had just gone through the crazy Chicago rush hour and needed a place to relax for the night. There was a dead bug in the bathroom (at least it was dead!!). The internet was very slow & we struggled even getting on the internet. I did mention this upon checkout & she said she'd take off $20. I was still surprised at the price of the room with my Best Western discount & the $20. Breakfast was good-typical hotel breakfast. Went for wedding . I spent more time getting key reset since it had to be done every time I left room. No liquor licence and sheets were torn on bed and broken dresser handles.. Charged more then what room was worth plus being under construction wasn't told to us before are arrival which I found unprofessional. The workers were very pleasant with the conditions they had to work with. "Bailed us out of triuble"
Booked a dump across the street. After 10 minutes of realizing that the other place was unfit for human occupancy, we went across the Best Western. Probably the 5th or 6th time we've stayed there. Stupid me tried to book a deal with a commercial 3rd party. It is always clean, always welcoming, the staff is always friendly and helpful. When we rushed in at 10:00 on a Friday night of a holiday weekend, they were more than happy to accommodate us and get us rooms for two nights. Less learned, stick with what you know, pay a little extra for peace of mind. Best Western Plus in Portage was a fun and relaxing stop on our trip. The staff were friendly and super helpful. Check in was quick and convenient and our room was super clean and comfy. They also have great towels here. It's a simple luxury but a one to be taken note of. The pool area is really nice with a spa tub and kids play area with water features as well as a game room. This would be a great hotel for a family stay but was still quiet and very relaxed. Free breakfast was great with hot and cold items. Very convenient to plenty of restaurants and shopping. With for sure be staying here again! "Way over priced for what you get"
I normally do not leave reviews, but I have to in this case. The front desk staff ignored me when i walked in, like I was bothering them. I had been traveling all day and all I wanted was a clean bed and hot bath. The bathtub had a bunch of hairs in it, it looked like it had not been cleaned. The remote did not work, which is fine but I am pretty sure the bed was not remade with fresh linens. I was too tired to ask for a new room so I slept in my cloths on top of the sheets. Not a very good nights rest for $150. The staff when checking in and attending to hotel bar went over and beyond. The hotel was clean and in order. They were remodeling at the time but made sure they were still cleaning around the area. The housekeeping was so nice and made sure you had everything you needed. It may not be in the best ideal location but the customer service was excellent. We stayed here over night with our grandchildren in the double suite. We were disappointed that there was no door on the bedroom. They also do not have connecting rooms. The hotel was a good location for going to the Dunes. They also had a cool pool for the kids. I wish I had read the reviews before I booked us a room here! The rooms do stink!! It even bothered my husband and that takes a lot! The room felt dirty and the smell didn't help. There was a thick layer of dust on the curtains, stained towels and blankets, and the bathroom fixtures were rusty. They are remodeling but it looks like it will be a slow process and the price does not reflect that work is being done and the rooms are dated and musty! "reserved room not available, clerk lied about it"
I arrived to find that the wheelchair accessible room I had reserved wasn't available. The clerk kept making up different stories about the issue, first telling me that I hadn't reserved an acccessible room, thent putting us in a regular room while telling me it had an accessible bathroom (it didn't), then telling me that there was no accessible room in the whole hotel, then telling me that he had told me that he was giving me a discount because the room wasn't accessible (he hadn't) before finally it became clear that there was an accessible room, it just didn't have the two beds that I had reserved as I was traveling with a friend. It took 3 hours to resolve, before he finally gave me the accessible room with the one bed, and let my friend keep the room that wasn't accessible. It ruined my night, so I got a short nap instead of a good night's sleep. room was very dirty, furniture and carpet was stained. Bathroom not clean. Old food remained in the refrigerator. Bed soft. I would not recommend this hotel unless it was the only one available. Beware ! "Decent for a cheaper hotel"
Hotel currently under remodeling-but bed was very comfy. Our A/C did NOT work and THAT made for a difficult night's sleep. Front Desk staff was very nice and professional. Forgot toothpaste and they quickly assisted us with toiletries needed. Furniture in rooms was stained and the room smelled like mildew. Gross.We were going to stay 2 nights but cancelled the next and went to a different hotel. Lobby area is very nice and the bathrooms seem to have been updated. 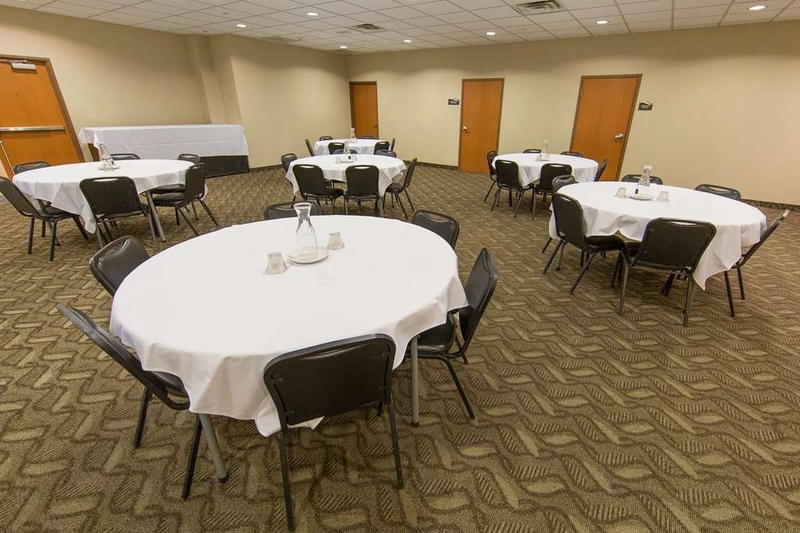 An excellent facility to conduct a conference, get away or stay in traveling. 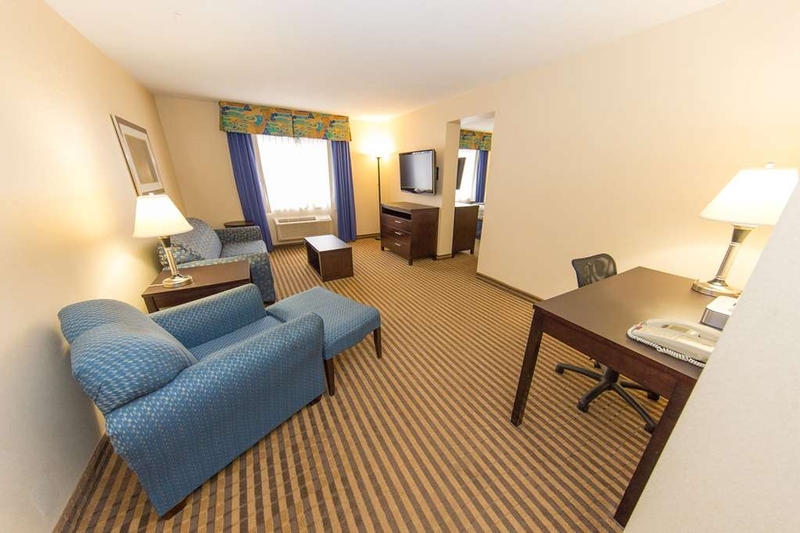 Excellent rooms, furniture and amenities. Staff members are knowledgeable, friendly and helpful. Will use Best Western again. The service was excellent and a great value. I will definitely return again. The beds were comfortable and the internet in the room was fast and convenient. The location was close to the highway and many restaurants. First impressions are everlasting, and the GM, Nicole set the bar extremely high by her wonderful demeanor and great recommendations of local things do. Being greeted by a pleasant person makes all the difference in a lodging experience. I also liked that she jumped in when her team needed that added assistance, ultimately making sure customers didn't have to wait, which again after a long drive is appreciated! I give an A+ for the Staff. Now for the hotel, the hotel is being renovated, the King Suite is a great size with microwave and mini frig. a tad dated, but clean and good for a family, our curtain was slightly broken but functional so no peepers could see in. The pool is in need of updating which by the looks of the closed whirlpool is next on the list. It is indoors and a plus during rain and snow days. However, the pool is like a sauna with no air flow and is very dated. The floor was very old and pieces were chipping off, and sticking to our feet. The lobby area was extremely hot, in speaking with the staff the hotels lobby has always been that way. They have bar food such as wings , sandwiches and pizza at reasonable prices. The pizza was 10 bucks and divine, better than some Chicago places only 10 bucks:) The hotel definitely has a A/C problem. I am only giving it a poor rating due to the pool and A/C issues. The price was definitely over rated for condition of hotel. From check in to check out I was very impressed with this hotel. Staff were polite, professional, and courteous. Breakfast was delicious with lots of offerings. Denny's across the street was also a pleasant surprise. Definitely recommend this hotel. Thank you for staying at the Best Western Plus Datalore and the wonderful comments about the staff and the hotel. We look forward to seeing you again very soon! We stayed here the night of Sunday, July 9th. The hotel was ok. We stayed in a suite and the room was average. The lighting was harsh and the living area was fairly small. The beds were comfortable and the showers were quite nice. We have two small children so the biggest negative was the pool was closed although we were told a week prior it would be open. From what we understand that has been an issue during the renovations. The pack and play we were provided for our 1 yr old was quite flimsy compared to every other we have used. In fact our next hotel had a nice portable crib. The fire alarm also went off soon after checking in, which we were told happens when they start up the frier by the bar. Hopefully that will be fixed after the renovation. In summary, it was all just ok, but given the number of places to stay nearby we will likely stay somewhere else next time. Thank you for choosing the Best Western Plus in Portage. I apologize that your stay was less than perfect Chad H. We do have quite a bit of renovations going on at the moment however that should not reflect your stay. Please give us another chance to make things right as this is not how we normally operate the hotel. We hope to see you again! Thank you G7899GYmarkl for choosing the Best Western Plus Portage and for the wonderful comments. It is wonderful that you are able to get away with your wife for some time together. We look forward to seeing you both again very soon! "Nice hotel, but has a few holes"
This is a nice hotel, but I've enjoyed far better BW Plus hotels. Nice size rooms and comfortable. Internet was really bad for the our entire two night stay. Customer service was also a little lacking. Just seemed a lot the staff was under-trained. Overall, it's certainly not a bad place to stay, but it is a couple small things from being top notch or ideal. Thank you for choosing the Best Western Plus in Portage. I apologize that your stay was less than perfect. We do not normally operate the hotel in this manner. Please give us another try when you are in the area. We look forward to seeing you soon! I always enjoy my stay at this hotel. It's like my home away from home. If there is ever any issues they will do their best to correct it as soon as possible. The rooms are great and the beds are so comfortable. Thank you for choosing the Best Western Plus in Portage 773tabathae and the great comment. We look forward to seeing you again very soon! We had a great stay at this hotel. Our room had two double beds and was HUGE - like probably three people could do yoga at the same time. Great bathroom and shower. We didn't get to go swimming, but the pool area looked nice too. Check in was easy and friendly and we had a very peaceful stay, even though they seem to be doing some renovations. It was a quick drive (a little over an hour) from Chicago on our way to Michigan so the routing was perfect to get us a little closer to our destination the next day. Thank you for choosing the Best Western in Portage misstessmusic and for the great comments about the hotel. You need to come back when we are finished with the renovations and you can fully enjoy all we have to offer. Hopefully we see you again very soon! We had a nice stay. The rooms are nice and comfortable, staff for the most part is extremely friendly. Pool is nice and has a kiddie pool attached which is only 2ft deep. My kids enjoyed it. The hotel is under renovations right now. It looks nice, and when its completed I think it will be nice and updated. Breakfast closes at 9, make sure you get there early though. It was closed right at 9 the first morning we were there, and at 850 the 2nd morning. Overall quality of the breakfast was good. The hotel is located right off the highway which makes it a nice place to stay when you are passing through. The hotel is a popular stay for truckers. Both nights the parking lot was full with semis. It has a bar, however, the 2nd night we stayed the bartender didn't show up so it was closed. 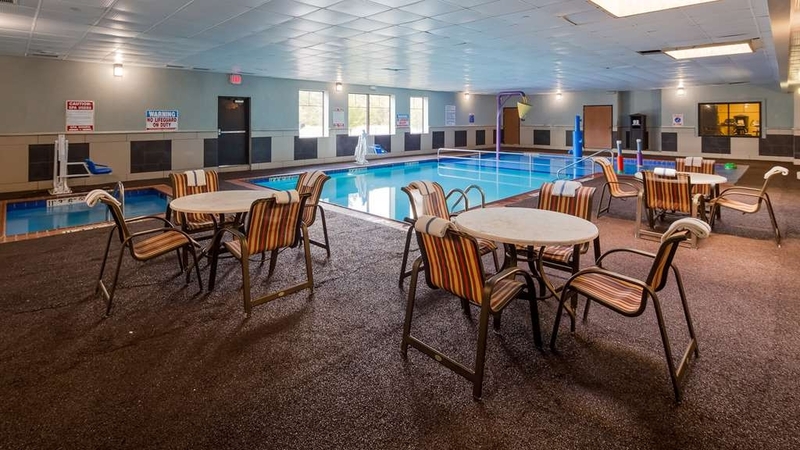 Thank you for choosing the Best Western Plus in Portage and for the nice comments about the staff and the pool. We are popular with the truckers as we are the only hotel in the area with the largest parking lot to hold their semis. I do apologize for the bartender not showing up and I will certainly check into that. I do hope that you will be able to visit the Best Western Plus again once the remodeling is finished. I will look fabulous. I hope to see you again soon! Im in a different hotel most every night and have great luck with Best Western. Reservation was done right, room was nice, and a nice lot for big truck parking around back. I will stay here again next time through portage. Kaleena checked me in and was wonderful. "Wet carpet, musty smell, staff don't care"
Overpriced even if this place was good, but our carpet was wet so we placed the decorative bed sheets on the floor to walk on. (The hotel was fully booked so a room change wasn't possible) The room smelled musty & damp like an old cellar. The TV channel list was wrong, kids running through the halls past midnight. Breakfast was ok, but not a lot of variety. Thank you for choosing the Best Western Plus in Portage and your comment in TripAdvisor. Whether good or bad we like to hear what our guests have to say so that we can improve. I apologize that your stay was less than perfect, we do not normally operate in this manner. We are currently going through a renovation. We hope that you can make it back once the renovations are complete. We hope to see you again soon. Stopped in for the night, Check-in was fast and friendly. The motel is undergoing remodel but was clean and welcoming. The staff answered all our questions and made a couple helpful recommendation for dinner. "A Nice Overnight stop with one caveat"
Travelling with the grandboys through Chicago, we decided against an overnight in that troubled city, so we moved on a few more minutes to Portage, Indiana. The Best Western rooms were older, but nice and fresh. We had a large two room suite to accommodate our growing boys. It was perfect. Boys had a queen sofa bed. We had two queens in a separate room. The extra sink helped in the morning. Customer service was warm and welcoming. Breakfast consisted of the usual, nothing too special, but was sufficient for my group. They advertised an evening bar and lounge, but on my evening, the bar keeper never showed up. In short, for the price, there was good value. Now for the caveat. Considering the above, the bus tour groups and the OTR truckers and large family groups also have discovered this hotel. Bus tour people can sometimes overpower a place when they descend on it. And large family groups can quickly and loudly overwhelm a smaller pool. If you can live with that, this is your place. Thank you for choosing the Best Western Plus Sid H and for the great comments. Summer can sometimes be hectic in Northwest Indiana due to the wonderful beaches and the Indiana State Parks. I hope this does not stop you from visiting us again. We look forward to seeing you again soon!! "Our Sons Wedding in Hobart/Portage, Indiana"
We came to attend our sons wedding. The staff at the Best Western of Portage, Indiana was friendly and very helpful. Breakfast was wonderful. The pool and hot tub was a lot of fun. Our family number, 25, ages 3 years to 83 years all had a great time. The facility was excellent too. My 83 year old parents were apprehensive of staying away from home, but they loved the mattress and are planning to find the same brand and purchase one. Thank you 309ruthp for choosing the Best Western Plus and for the wonderful comments. I am glad we were able to live up to everyone's expectations. Hopefully you may visit the area again. Easy on and off highway. Located at ugly intersection, so don't expect scenic views. No nearby restaurants within walking distance. Staff was pleasant. For the money, I recommend staying closer to downtown, where you can walk to restaurants if you're sick of driving all day. They have a restaurant, but it was closed the night I stayed. I picked the place so I didn't have to get in my car and drive again, so the restaurant being closed - holiday weekend -- left a bad taste in my empty mouth. . Thank you for staying at the Best Western Plus in Portage and for your comments in tripadvisor. These comments are important to us so we know where our strengths and weaknesses are. I do apologize that your stay with us was less than perfect and do hope that you will give us a second chance to make it better. Normally guests love to visit our lounge and enjoy the food that is prepared. We hope to see you again! All staff were friendly, very caring, funny, they made it a very at home and relax environment. Kitchen staff as well did a great job preparing my food. Check out staff help me with my bags and breakfast overall a very helpful an pleasant experience!! Thank you Tarpleykl16 for choosing the Best Western Plus Portage and the wonderful comments about the hotel and staff. I will be sure to pass this along. We hope to see you again very soon! "Ok place to stay "
Thank you for choosing the Best Western Plus in Portage BAJ2424. I apologize that your stay was less than perfect. We do not normally operate the hotel in this manor. I am glad that you were able to enjoy our comfortable beds. Please visit us again soon! Our family stayed here on our way to and on our way home from a family get-together. Staff was friendly, rooms were good size, breakfast was very good, and the pool was great for kids. It was obvious that a sweet 16 celebration had taken place in our room prior to our stay, as we found confetti in various places throughout the room and hallway of our floor. Knowing how difficult confetti can be to vacuum, it was hardly an inconvenience. The staff was friendly and accomodating and we will definitely stay here again! It was a quick stay while we were passing through on our way to Detroit but nice for the time that we were there. The room was clean and the staff was excellent! Slept well and the bed was comfortable. Thank you achristemn for choosing the Best Western Plus in Portage and for the great comments. We hope to see you again very soon! 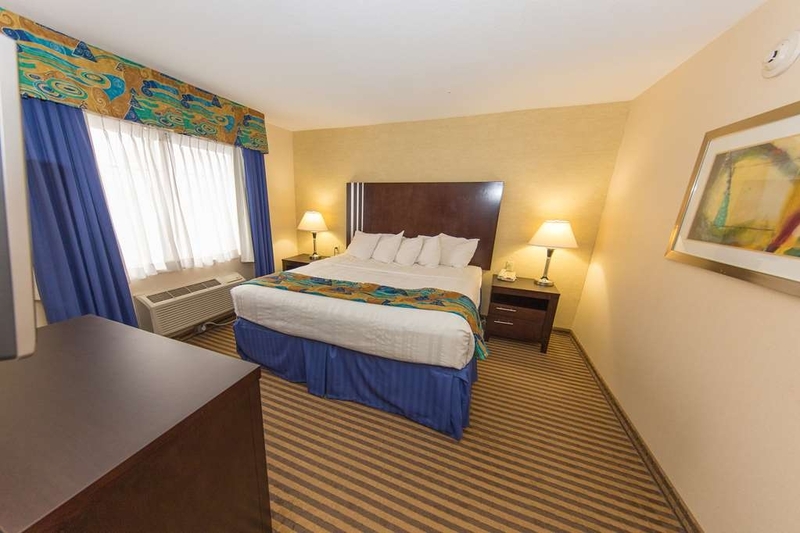 The Best Western in Portage In is an excellent place to stay. There is a lot of eating places near. Shopping near by. Close to the Indiana Dunes beaches, casinos. Very clean and comfortable rooms full breakfast. Very friendly and helpful staff. Thank you tink12267 for the wonderful review. This is a great vacation spot being so close to the National Parks and the beaches. Everything right where you need it. We look forward to seeing you again on your next trip to vibrant Portage Indiana. Check in was easy and Tish at the front desk was very pleasant and helpful. Everything seems to be clean and the pool is great for kids. Highly recommended for people visiting the dunes or going by train to see the World Champion Chicago Cubs! Thank you gocubsthunder for the great review. I will definitely let Tish know that she made your check in easy and pleasant. We are in a good location for visiting the Dunes and a Cubs game in one trip. We hope to see you again very soon! Thank you 497scotty for the wonderful review. We do take pride in our customer service and I will surely pass your comments on to the staff. We look forward to your next visit into the area. Some but not all of the staff were helpful. Hotel room in nice okay condition. Bathroom was dated and not the cleanest I've seen. Hot tub was disgustingly filthy. As a Gold Rewards member, I did not receive any help with the points or gift or whatever they advertized for welcoming us. I understand they were training, but they didn't have their bases covered. Thank you stephenh805 for choosing the Best Western Portage for your visit into the area. I am sorry to hear that your stay was not up to your satisfaction. We do not normally operate the hotel this way. We will talk to all involved to make sure this does not happen again. Please give us another chance to make it right next time you are in the area. We look forward to seeing you again. 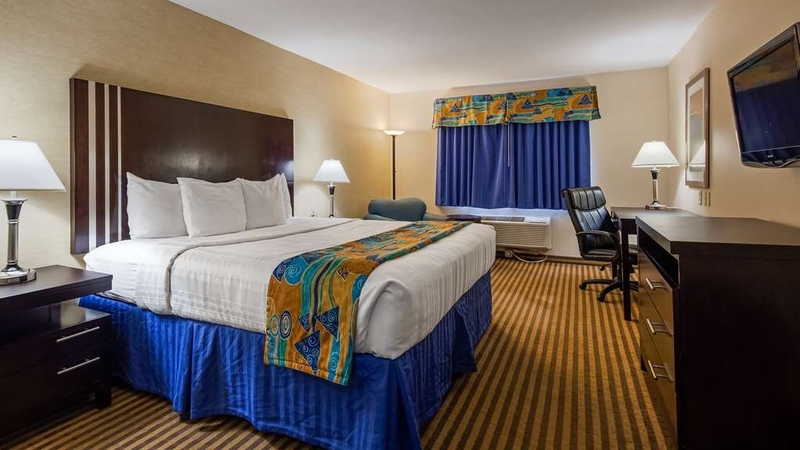 Comfortable stay at this newly renovated Best Western, just off I-94. The bed was very comfortable and the hotel room was small, but very clean and with a microwave, fridge and coffee maker. Breakfast was included and was very good. This hotel is not far from the Indiana Dunes State Park, which was about a 10 minute drive away and I highly recommend taking the time to visit there. The day was cold and the rain had just let up, but worth the visit. 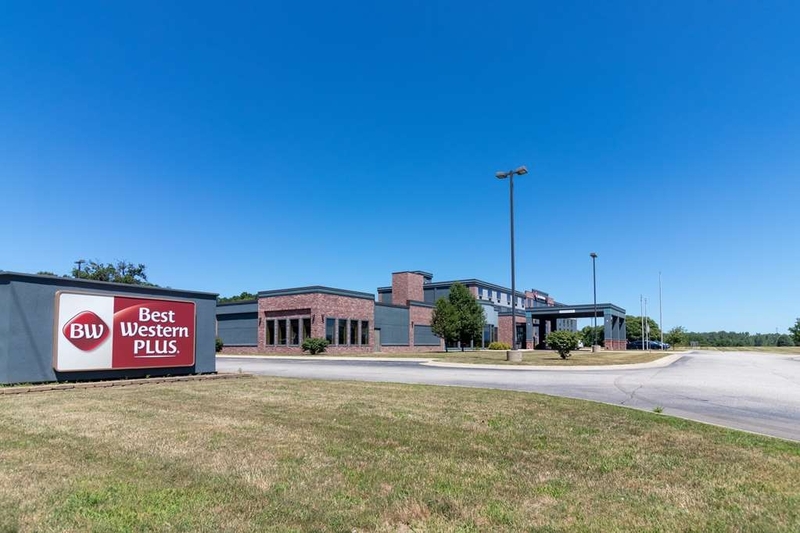 Thank you for choosing the Best Western Plus and for the wonderful comments Louisa T. We are in a good location close to beaches, restaurants or a quick trip to Chicago. I hope to see you again very soon so you can explore the many more options of places to visit while in the area. "Late night pizza chefs. Yay"
"Pretty area, good for the price"
Upon arriving to check in, no one was at the front desk. I called out but no one answered. I then looked up their number on my phone and called. Someone answered and I told them I was at the desk waiting to check in. They apologized and said they hadn't had a break all day. Two people came to the front desk and they were very helpful. They gave me a room on the third floor saying it would probably be quiet for us as there were lots of kids there this weekend. Plus the third floor rooms have vaulted ceilings. The room was good sized. Everything was clean though things like the ice holder were worn. The beds also seemed worn. The area around the hotel is beautiful. It's a great place to stay if you're going to explore the Dunes. We felt very safe. Breakfast was lacking. Sunday is a waffle bar. With only one waffle machine, people have to wait awhile. They also had cold cereal and pastries. I would have loved some fresh fruit. We definitely would stay there again if the need arose, but since my daughter graduated from Valpo, there will be no reason for us to return. The best part of BW+ is its location, just off 94. 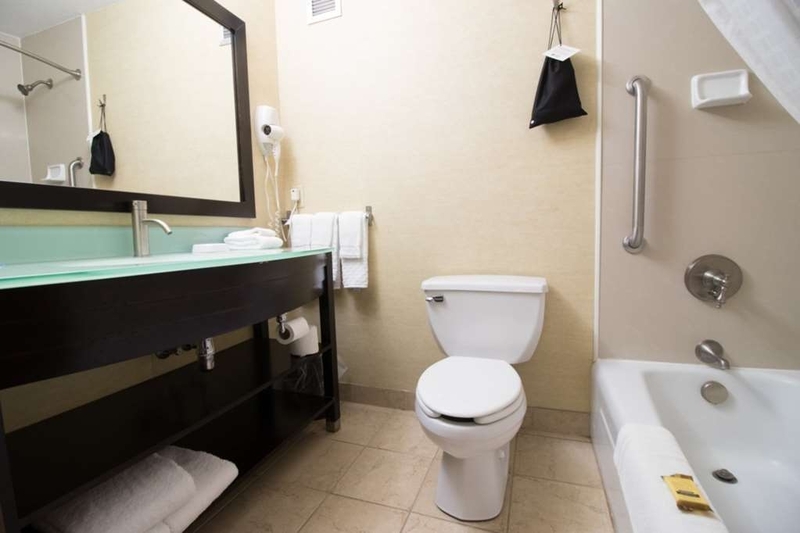 Rooms are clean and comfortable but bathrooms small and cramped compared with Comfort Inn or Hampton. The evening we arrived we had a long wait to check in because the front desk person was also tending the bar in the lobby, and not happy about the double-duty. Where was the hotel manager to solve this problem? Breakfast OK but the dining area is very basic, just some tables and chairs. Breakfast starts at 4am so great for early getaway. Another gem! While passing through, we found this Best Western in Portage. It did not disappoint! Our grandson loved the pool. It was definitely kid-friendly! There's a small bar in the lobby, that has cold drinks and warm food ! food takes awhile but very tasty none-the-less. This is one place we will definitely stop again ! "BWP Did GREAT with a Large Group!" We recently stayed at the Best Western Plus with a large group of 70 high school students as part of our trip to Chicago. The staff was so accommodating, helpful, and understanding during our overnight stay. They were helpful in providing options for pizza delivery and allowed us to serve the pizza from their breakfast area....even provided us with disposable plates. Our students thoroughly enjoyed the pool area during their couple of hours of free time (which was one of the main reasons we selected this hotel). The suite rooms provided more than enough room for the students and their luggage (and we don't travel lightly!) Thank you for being our "home away from home" for the evening....we would definitely stay here again! it was very enjoyable. nice location, staff, and facilaty. the breakfast was great. the rooms were clean. the staff was very helpful. the layout of the hotel was easy to navagate thru. i would recomend this place to others. Thank you hobertc2017 for the wonderful comments about the Best Western Plus Portage and the recommendation. We hope to see you again very soon! "When I'm traveling thru the Midwest I am always trying to find best value and cleanliness. This hotel definitely"
Always a great stay here! Nicole the general manager is excellent at making everything right. Never had a problem or bad stay here! It's a regular stop for ne always will be. Quiet, comfortable and food and drink on site . Excellent stay! Thank you mike l for the wonderful comments. We hope to see you again very soon! Actual real truck parking for easy access in and out is designated for a large number of trucks. And open bar and food combined with kind hearted staff make for a great stay. They have a great Rewards program that gives points. I average about $450 a year in points. Also through out the year there are promos that offer $10 to spend during your stay. I recently spent $30 that I earned on food. Thank you for your wonderful comments robertkF9508XV. It is great to hear that great guests like yourself taking advantage of the wonderful perks that Best Western Plus has to offer. We hope that you continue to take advantage of these perks. Look forward to seeing you again very soon! Hotel was nice! After a long drive. I was glad to arrive at my clean and relaxing room. Location is not far from Chicago. The room was warm and toasty! Atmosphere was nice and quiet! I enjoyed the complimentary breakfast as well. Thank you renardcomedy for the wonderful review. I am glad you had a relaxing time away from home. Please visit us again on your next visit into the area. "Great hotel to stay at." The staff here are super friendly and very helpful. Love going to this hotel when we need to get away. Pool and hot tub are great as well. The rooms are very clean and don't have any issues. It is always a delight when we go there. Thank you for the wonderful comments 773tabithae. We always love to see our guest return over and over again for the amenities and the great service they receive. We look forward to seeing you again very soon 773tabithae!! Check in was quick and the gal was nice. There was a large fireplace and bar as well as a pantry with a small selection of goodies. The hallways are a bit tricky (like a maze), but it was fine. The room was spacious. Nice, tall and comfy beds with good linens. The colors in the room were beachy. Good thick (no stains) towels. Good WiFi. Parking was great! We would stay here again! Thank you for your wonderful comments about the Best Western Plus ftblchic76. It was nice to hear that you had a wonderful time and that you were able to enjoy the amenities we have to offer. We hope to see you again very soon! Family friendly and very attentive. Clean rooms with comfortable bedding. Nice indoor pool and splash park for kids. Good price point. Close to restaurants and Bass Pro Shop. Easy access to train to ride into Chicago for the day. It was a quick stopover to catch some sleep between long road travel days. Did not make on line reservations but rather walked into the hotel and registered the old fashion way, in person. Greeting by a very pleasant front desk clerk, we were checked in and directed to a local restaurant. Room was very comfortable. Looks like renovations are being done, and they are needed. Hotel is aged but by no way a reason not to use this location as a stop. Hotel also has a lobby bar serving cocktails, breakfast buffet, a pool and game room. The hotel is nice. The room for double bed where I'm in kinda small though. And the bathroom door actually on the way and collide with the room door. I think the hotel under construction to the better. But I don't think the room big enough for double bed. Hotel was very clean and staff was friendly. Room was comfortable and beds were outstanding. Only bad things coffee was very bad, but breakfast was good. Exterior lights were dark. Definitely need brighter lights and more of them. This motel is located right off the interstate and has a bar and grill on the property so once you check in you don't need to leave. Melanie at the front desk is always helpful and Kimberly (house staff) will tend to any thing you need to make you comfortable. 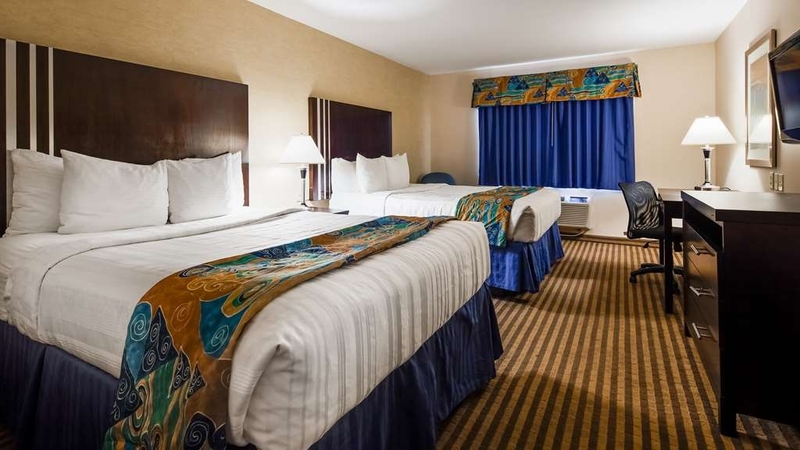 "clean and comfortable for the price"
The staff at this hotel is always very friendly and pleasant and accommodating! In addition, the beds are comfortable and the rooms are very nice and clean. Would highly recommend this hotel to everyone for business or pleasure. Great location as well. This was a great hotel to use as it was on our route. Room was spacious and clean and quiet. The free breakfast was helpful and I liked how many of the items were individually wrapped. Was able to reserve last minute so very convenient. This hotel was nice and clean. The location was in the middle of a lot of attractions we planned on seeing. The breakfast was tasty. The employees were very helpful with instructions to places and finding us a kitchen knife to cut our pizza with after hours. I recommend staying on the second floor however. There are lots of geese! A last minute trip popped up and didn't have time to research hotels in the area. The price was great so I booked this quickly before getting in the car. It turned out to be a great surprise. Best Western has stepped up it's game. Like many, my top concern is cleanliness. From the lobby to the room to the breakfast & gym areas, this BW+ came through. Check in was easy, quick and the staff was fun from the word go, while still being professional. The room is laid out well, with plenty of space. I was only there one night, but it would be great for a longer stay. 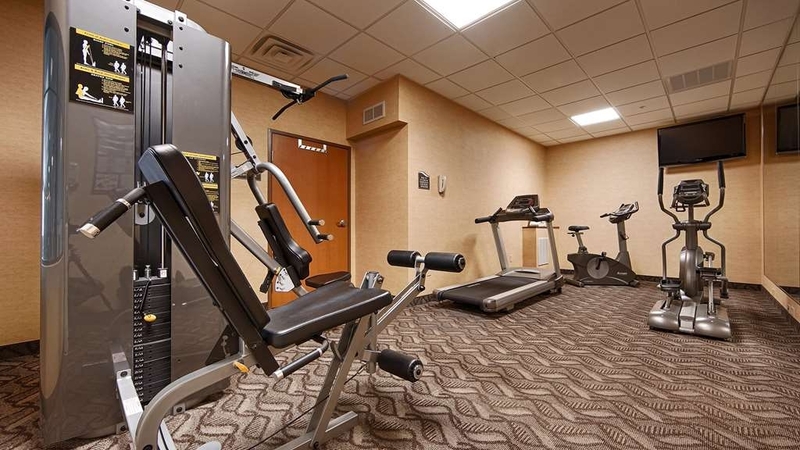 The fitness area is the size of many hotel gyms, but they were able to fit in more than just cardio machines. It's great when you can have a good workout while traveling. The breakfast area is rather large. I also like that the food dining area is off from the main entrance more than most hotels, so it's much more quiet. The seating is a back from the food station, so there's less commotion and it's easier to concentrate if you're trying to get work done or even just read. The location was great-simple to hop back onto the highway yet also back enough so that the property was quiet. 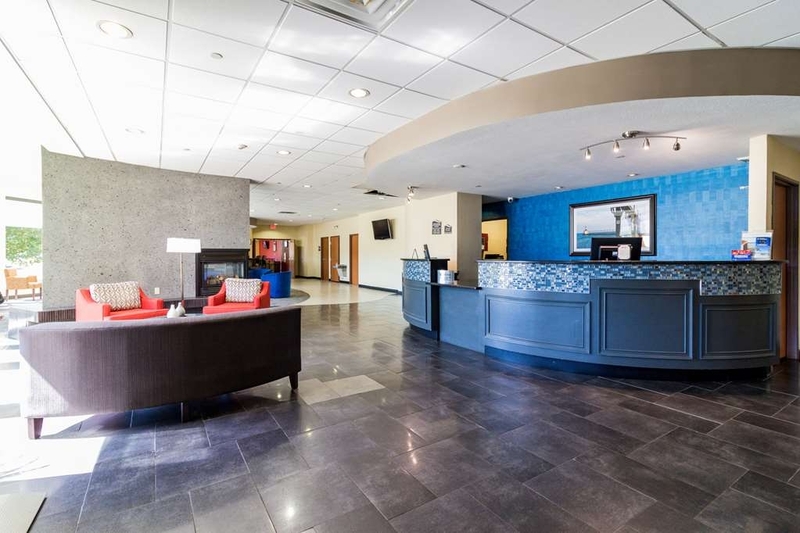 The staff was pleasant throughout the stay and even though they were busy, gave me a late checkout (which can make a huge difference when going from town to town). I've rarely had such a great experience at a hotel in this price range. This Best Western Plus exceeded my expectations. I'll be back. Great place to stay...It is right off of i-94 very conveniently located! friendly, clean...reasonably priced...I highly recommend. Pool and hot tub were very nice as well! Lots of other nice amenities and breakfast was decent! "Very Quiet, Very Conveinient. A great stay"
Stayed here for 2 days. I loved the location. Just minutes off of a major highway, yet quiet enough where you didn't hear the noise. Staff was extremely helpful. Rooms were clean. Bathroom was spotless. Breakfast in the morning starting very early, and a bar area at night. Large parking area, so never an issue trying to find a place to park. Food choices just minutes away. A very quiet stay. No complaints here. "Great place if you're passing through"
This hotel was a great choice during my trip through Indiana to Illinois. 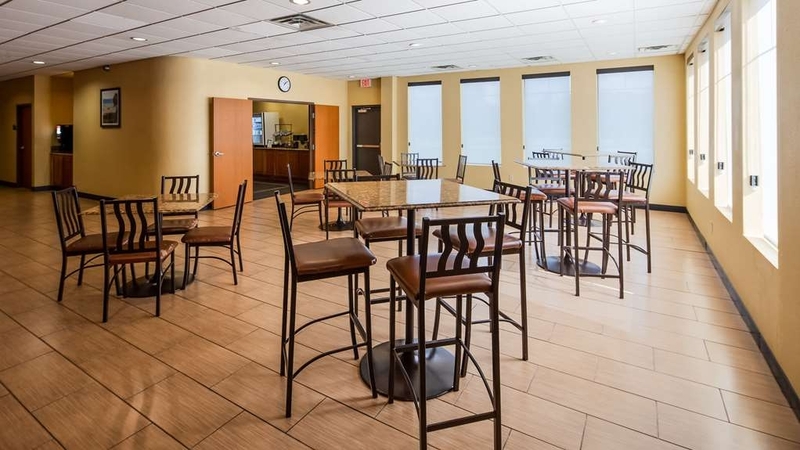 The hotel was clean, the room was super spacious (with a separate sitting area) and the staff was very friendly—especially the breakfast staff who go out of their way to provide a free, delicious hot breakfast! Wifi was free and easy to use, and the free parking was a huge plus. Will be back! Hotel was very clean and the staff was courteous and friendly. They were able to accommodate us for late check out as well although the housekeeping staff did not get that info and came to the room at 9am to clean it. which was also rather odd since we were checking out that day anyway and should have waited until we left. Maybe they don't have that info on their cleaning list? If not they should. "Good place to stay for a night off the turnpike"
This is the second time I have stayed in this hotel. My daughter is in college in Chicago and this is a great location to stay overnight on the way to drop her off and pick her up. Good price and wonderful staff. Rooms are updated and pretty clean. The room was slightly damp smelling on my second stay but would stay again. This hotel is a great place to stay whether it is family, couples or for a business trip, the hotel staff are very friendly and helpful. The hotel is close to places to eat and a park for sightseeing. We arrived and was first pleased with our stay. However, the water did not drain very well in our room and when we were leaving, we found a cricket on the floor. For this time of year, it could be worse. Also, the price was a little high. This hotel had the cheapest room I could find which means I didn't expect it to be perfect. The room was nice- there was a small entry room with chairs and a tv. Two king-sized beds, fridge, coffee machine. All great. It was not as clean as I would have hoped (see picture). The breakfast was great (excluding the really nasty fruit) and the ladies at the front desk were great! the beds were nice. The selection of channels on the television was very good. I enjoyed a good breakfast. The hotel was quiet. Convenient location, easy to find. If you are super picky you may not like that a lot of truckers use this hotel but they are a quiet group. Check-in was super fast and easy. Hotel is getting renovated so it had a lot of workers. Rooms and bedding were good. Splash pad was neat but the room was really hot. Option for breakfast was good but the food was 1 step above terrible. Felt safe here and staff was nice. Big comfy beds, clean bathrooms, easy parking. "Great end to a hard day at work"
I always arrive late at the best western because I work long hours and the staff is always amazing! The bartender Nikki always stays open later for me and makes sure I get to eat even if she is close to closing! I really appreciate her and the rest of the staff! The rooms are always comfortable and the breakfast is top notch! Wouldn't stay anywhere else!!! Our stay was wonderful, the staff made us feel like we were right at home! The rooms were clean and very comfortable. The pub in the lobby has great food choices so we didn't even have to leave the hotel for dinner! And the free full breakfast in the morning was the icing on the cake! Thank you, we will most definitely stay again! "Close to Dunes and Chicago"
My family and I have stayed here before. It is very nice, cozy, and close to Chicago. The downside is there are not many restaurants within walking distance, however, the bar inside has food so that was good enough for us (they have a kids menu). They are doing some renovations but it did disturb us at all as they were taking place in the lobby. Looks nice. Staff is extremely nice and go out of their way to accommodate people. My husband and I stopped for an overnight stay in this hotel. We have stayed here several times on our trips north and return home. Our room on the fifth floor was clean and neat, new carpet and tile in the bath area. I would agree with one other review, the towels are a little rough for my preference. The desk staff was courteous both at check-in and check-out. Tony was helpful and patient. "Ok...but could be so much better"
We have stayed at this hotel before when visiting the Indiana Dunes area. Our last visit was good, not exceptional in any way, and I would again say we had an ok time here but this hotel has so much potential to be better. As a Diamond level BW member we were provided a room upgrade to what I would say was a mini-queen suite consisting of a regular room with 2 QB and a smaller "side" room with a sofa sleeper. Overall the room was fine, and we appreciated the upgrade. Two issues...the bathroom is pretty small, and as noted in my review from 4 years ago the "football" shaped sink leaves minimal counter space for items. Both the sink and shower drained VERY slowly, resulting in taking showers that left us with 2-3" of water in the tub and 20 minutes to drain. The HVAC system has been updated and worked very well. Some reviewers note a smoke like smell in the room upon first entering and I agree that this can occur despite having a non-smoking room. The odor was not overly oppressive and we never noticed it again after first arrival. The housekeeping staff skipped our room during one day of our 3 day stay- inexcusable. The pool area is nice, but again details keep it from shining. The nicely provided shower area to rinse off had containers for soap, shampoo, and conditioner...but they were all empty. I pointed this out the first night to the front desk and it was never resolved. The breakfast area was undergoing some remodeling which resulted in no waffles for the second and third mornings. Otherwise the breakfast was average to above average. I understand that there has been issues with obtaining and training good staff, but isn't really a solid excuse. Rates seem on the high side, yet this seems like a very popular stop for truck drivers so I wonder if they receive a deeply discounted rate. If we return again to the Indiana Dunes area we will likely stay here again and hope that staff issues and some maintenance issues have been successfully resolved. We stayed on our way to Chicago. Everything was great here. Good location, there was adequate room, great price, and excellent service. Our main focus was finding a hotel room big enough to sleep six people. With 2 queen beds plus a sofa-bed, it fit our needs perfectly. Great job Best Western! Great place for families or business! The pool is awesome for kids! Rooms are comfortable and clean. Staff is amazing! Lots of things to do in the area! National Park, lots of beaches to choose from, 2 water parks in the area, lots of shopping within a short distance. All around a great place! I stay at this hotel a couple of times a week. The staff, from the manager to the housekeepers, are top notch and the best I've ever dealt with. This group of people make me feel at home when I have to be away from my family. The maintenance staff does a great job with the upkeep of the rooms as well as the hotel property. I have never had a negative experience here and urge all to book a room here when staying the night in the area. I have stayed here multiple times with my family as well. My personal visits are as pleasant as my business visits. I have stayed at this Best Western a few times and it is wonderful. The manager there is wonderful and always seems to be there. Pool area is nice for children (need more pool towels though). This Best Western has a bar which is great if you don't want to venture out. The breakfast is pretty good and lots of options available. Whereabouts are depressing, hotel is depressing (brown brown brown and low ceilings). Everything smells. Breakfast was hideous, both the food and the breakfast room. We didn't dare try the pool - it just did not feel clean. All we wanted as soon as we checked in was to leave as fast as we could ! Slept well and very friendly staff. First night was good..second night keys would not work and drain in bathroom clogged but maintenance resolved both problems quickly. Housekeeping does not speak English and could not understand we needed more towels in our room. Service was good and overall a good stay. Will stay again. This was the last night of our 12 day trip. After going through the Chicago traffic, we were glad that BW had an available room for us. Being right near the highway and having a truck parking lot -- the room was very quiet and peaceful. Always enjoy the BW's breakfast before we head out for the day's drive. Make sure to join BW's points club. For all the Best Westerns I have stayed at this was the worst. Peole were great. Exterior great. Staff good,not enough for the work they have to do. Rooms not so good, smell smoky, bathroom tub not clean. 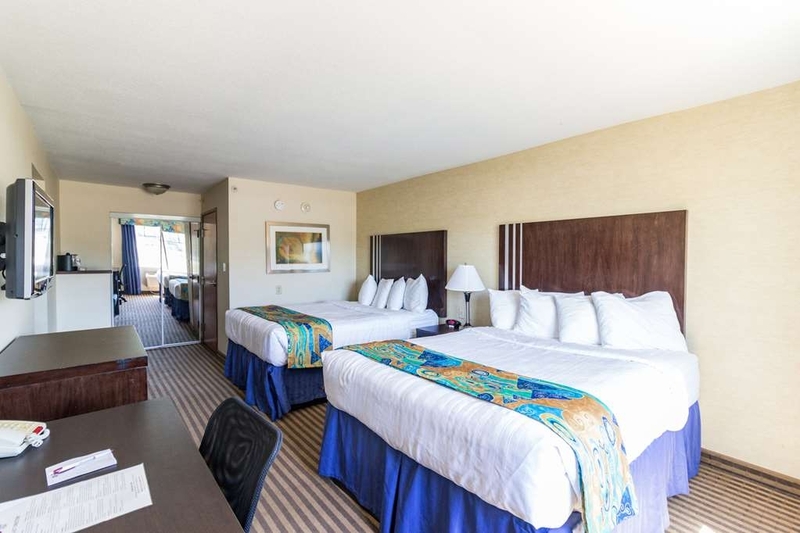 "Fairly Typical 3-Star Hotel with a Few Issues"
This Best Western offers about what you would expect from a 3-Star chain hotel, but we had a few issues that made our experience here less than ideal. Some things were good. We would not choose to stay here and have this type of mixed experience again. We checked in yesterday afternoon. The girl at the desk (I'm not sure of her name) was really nice and friendly, and she left me with a good feeling. We got to our room, and it was nice and big, seemed clean, and the A/C was cranked which felt great on a 90° day. The room had that strong smell that hotels get when someone has smoked in a non-smoking room (the whole hotel is actually non-smoking) and they try to deodorize it. Oh well. Not a big deal. We were only in the hotel for a few minutes. We dumped our stuff and went up to Chicago. When we got back it was after 1:00 in the morning. We were exhausted, and our bodies are on Eastern time, so we were ready to hit the hay! We changed into our PJs. After that, the troubles started. The sheets on the bed were very damp. I don't know if it was from the humidity, or if they just put damp sheets on the bed, but it was straight up wet. Again, I just kind of said "whatever." It was really late, we were already in our pajamas, we were on the top floor of the hotel, and we didn't want to deal with the hassle of getting new sheets. So we decided not to be fussy about it. Then we noticed the sink in the bathroom wasn't draining. Again...whatever. We were ready to drop and didn't want to wait for someone to come to our room to look at the sink, so we just left our soap- and toothpaste-filled water in the sink to drain overnight. (And it eventually did.) Then I got the emailed receipt from the hotel. We checked in at 3:00, so I'm not sure why they didn't email the receipt until 1:30 a.m., but, as I keep repeating, "whatever." So I looked at the receipt and saw they had charged us the hotel's standard rate for the room. We had actually booked through TripAdvisor and were supposed to be paying about $31 less than that. We decided to go to sleep and deal with it in the morning. At 8:00 this morning, we were awoken by a loud *KNOCK KNOCK KNOCK* "Housekeeping!" The guy did not wait at all for a response before he tried to enter the room. We had the bar lock over the door, so when that stopped him from coming in he just closed the door and went away. No apology or anything. The girl who checked us in yesterday told us that a lot of truckers and railroad workers stay here who check out very early in the mornings, so I suppose that explains housekeeping coming around so early. It wasn't a huge deal, but we were really tired and didn't like being woken up so early, and especially that the man didn't wait at all before trying to enter the room. Also, this was during the time the hotel was serving breakfast. If I had gone to the lobby for 10 minutes to eat and he had come in to clean, I wouldn't have been happy to come back to him in the room. Typically, in my experience with hotels, they don't try to come and clean so early on the morning you're checking out unless they know you have already checked out. Just to make things a little worse, the man came back at 9:00. At that point we were up, but still in the room. He knocked and said "Housekeeping!" And I ran over to the door and said that we were still in there. He repeated his knock (?) and yelled even louder "HOUSEKEEPING!," so I yelled back "SORRY, WE'RE STILL IN HERE!" Again, he just left without saying anything else. Okay then! Breakfast was okay, but nothing special. The shower was very nice. The hair dryer was good and hot, but very weak. The hotel adjusted our rate after we showed them our receipt from booking.com. The first girl tried to justify charging us the full rate and explain it, but the very nice girl who checked us in yesterday cut in and made the adjustment for us and apologized. So...overall, no harm done, but there were just too many little problems here to make us want to come back again. I want to be clear that none of these issues were a big deal on our own, and we didn't complain to the hotel about anything other than the price of the room. We didn't give them a chance to make things right. I bet they would have. It's just an inconvenience to have to ask for things to be working the way they should be working. We waited an hour beyond the posted check in time with three small children for our room to be ready. Breakfast was disappointing when food ran out each morning by 8:30 and the milk was curdled. To top it all off, we've been billed four times for a two night stay putting our bank account in the red. Never again. "Very Disappointed in Management "
My family was to stay at this hotel the first night of our vacation. I had requested a deep clean of the room and no scented products due to severe allergies/asthma. I had spoken to Nicole (the manager) & Housekeeping prior to making our reservation and the day before our arrival I confirmed my requests with the front desk. We arrived late and exhausted. The lady at the front desk was polite and friendly but she informed me that Housekeeping cleaned the wrong type of room and, since they were booked up on that room type, another person with that type of room reservation got the specially cleaned room. She allowed us to check out a few rooms but they all had some type of scent or smelled like smelly socks. We were going to go with the least smelly as we were exhausted. We checked in and went to park. My asthma was triggered and we checked out before bringing our stuff in. I tried to reach Nicole, the manager, the next day. I left a message with the lady who bartender for them and was assured that Nicole would return my call. That was 7/9/16. I have yet to hear from her and am disappointed that she failed to address this matter herself. I do not plan on ever staying there or at any Best Western again. FYI: We have had only the best experiences with the other hotels we have stayed at on our trip. "Great stay for the family!" We had a pleasant stay where everyone in our family (even very small children) were very comfortable. We liked the pool area to help keep the kids occupied for most of the evening and we had a great room where everyone was easily comfortable and could have a restful night. Definitely recommended for a stay in the Portage, IN area. We made a trip all the way from Champaign, IL to the Best Western PLUS in Indiana Portage, which was supposed to be one of the best and we found out that it was one of the worst. The front desk offered very poor service, the housekeeping was also very poor and when my family and I went in the morning for breakfast, there was not anymore food available for anyone there. The breakfast servers were very rude and we could not find any more breakfast at around 8:30 AM at the hotel. So, we had to go to a restaurant for breakfast even though the hotel stay included a complimentary breakfast. Apart from this, we reserved a non-smoking room on the fourth floor and the room's odor reeked of cigarette smoke. The staff went out of their way to make sure our baseball team and families were well taken care of. They dried our baseball uniforms at midnight in the hotel dryer since the normal dryers didn't work and the boys had a game early. They opened their weekend breakfast buffet up 30 minutes early so the boys could eat before they had to play ball. They kindly set up additional tables and chairs in the breakfast area so we could have group dinners for all 50 ball players and family members. Stayed here for a weekend in late May while in town for a wedding, along with many other family members who had booked rooms here.It turns out there were groups staying here from three different weddings. The place was bustling. Each time I have stayed at a Best Western over the last few years, I've been continuously impressed! This chain has definitely made some fantastic improvements which have kept it in the running with the better hotel brands. The rooms (I was in the rooms of several family members as well) were clean and comfortable-passed my test of walking barefoot on the carpet and not making my feet feel yucky. The breakfast was great-lots of variety. The workout room was very small- one treadmill, one elliptical, and 2 weight machines, but it did the job. We loved the bar in the lobby-great gathering area for our large group. They kept the bar open extra-late for our group. I would definitely recommend this hotel if you're in this neck if the woods. I stayed at Best Western for one night on my way through town. I called ahead to let them know I would be checking in late, and they were prompt on the phone. When I arrived the front desk was helpful and quick checking me in. The room was clean and well stocked, made up properly and the AC was on. It was a little damp which was slightly uncomfortable but it was very humid out so I guess that's normal. The linens and towels were clean and high quality and all the flat surfaces were dust free. The sink, toilet, and shower were not perfect, but normal for the price range. Complementary breakfast was from 7am-10am and was decent. There were hot eggs and bacon and biscuits... the eggs and bacon were pretty bad but that has been my experience with all hotels in this price range. Stick to the pastries, yogurt, cereal, milk, coffee, juice etc. Check out was 11am and was painless. Pros: convenient location, spacious room, plenty of facilities (pool/spa area, gym room, lounge, free wifi, business/work room, arcade, etc). Cons: furniture in the room was getting worn out, hot breakfast not so good, stairwells could be cleaner. Verdict: if you need a place for a short period of time, would recommend. No complaints. The room was a suite with a TV in both rooms, and a comfortable sofa to sit while surfing the internet. The breakfast was fresh and plentiful. All the facilities were easily and conveniently accessible. "A Freind along the way!" Initiallyt had problems locating check in staff, but was very nice when located (about 10 minutes wait, no one around). Room was spacious with great bed and very clean. Hallway and pool area were very, very noisy! Both late at night and early in morning.... other guests were the problem, not staff. Complementary breakfast was both hot and cold but needed more fresh fruit. Very easy access to interstates 94, 90 and 80. A nice stay. Our overall experience was good. Nice friendly staff. Clean hotel and room. Breakfast was good. Would stay again when in the area. Conveniently located off the highway. Only negative would be the condition of the parking lot. Big potholes. Very clean and spacious rooms. Great staff and amenities. The beds were wonderfully comfortable. We stayed on a Friday night to Saturday morning and the weekend breakfast was fabulous!! Although we didn't have time to use it, the pool was an option had we arrived earlier. We even had the opportunity to have a drink in the bar in the lobby area which after the day we had, was definitely in order and well deserved. "spacious rooms, good service but that bathroom fan"
The bathroom fan could not be switched of and was very loud. It is that we were tired, but that noise did not do our night rest any good. The rooms are spacious, the beds are super, the hotel staff is friendly and service minded. When we left they said to go and do something about that bathroom fan. I always try to stay at this Best Western. Its location is convenient and the hotel staff go out of their way to make the stay comfortable. Only one downside, there are no local PBS tv stations available on their DTV system, and thats a shame. They need to correct that. All in all not a bad stay, the beds are comfortable but the place feels old and run down. Bathroom doesn't have a vent fan, walls are paper thin, and toilets were the smallest I have ever seen. The staff was friendly and checked in on us to make sure we were doing alright. "Meanie was great, and so is this hotel"
We stopped here because we couldn't go any further driving. Melanie greeted us with nothing but compassion and friendliness and we felt very welcome. She upgraded us to a nice room and the beds were amazing. It was really a good turn around to a rather stressful situation. She really represents this hotel great. I am a stand-up comic that travels extensively. I was making my way to Sioux City Iowa to headline the Hard Rock Casino from my home state of Pennsylvania. That is an 18 hour drive! 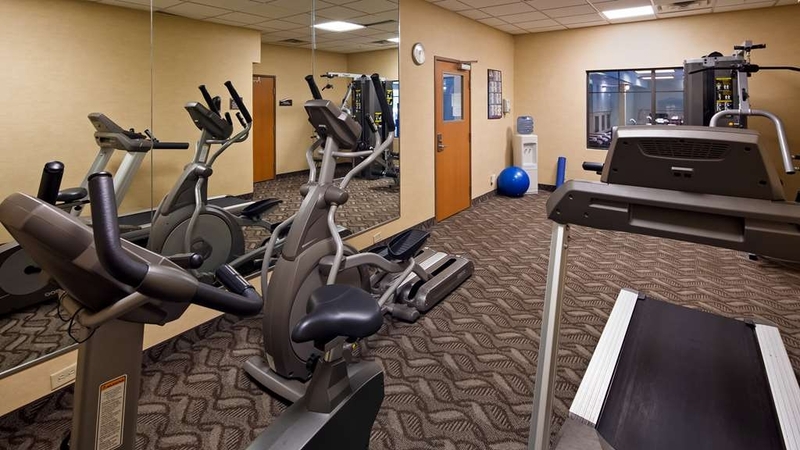 It was about 10 hours into that ride when I needed some good solid rest in a nice hotel, and I am glad I picked the Best Western Plus Portage Hotel & Suites in Portage Indiana! Not only was it a great location on my way west, but it had the most amazing complimentary hot breakfast to get me back on my journey in the morning. I expected a Best Western to be more simple, economical, and standard, but this hotel exceeded my expectations by 1000%. The room had the best amenities like free WiFi and flat-screen TV, minifridge, microwave and coffeemaker. I wish I could have taken advantage of the other perks like the indoor pool, whirlpool and a 24/7 fitness center. My stay was just not long enough. My bed was so super comfortable and the pillows were like heaven. My room was very clean, and nice and quiet. I also checked in at an odd time, and had absolutely no problems. In fact the late night/early morning desk concierge was exceptional in getting my room for me quickly, and explaining how great the breakfast was going to be in a few hours, and gave me the rundown of the Best Western Rewards Program should I want to join! I will definitely stay again here, and hopefully not just for a day, but for a few days next time! Thank you! "nice place, very nice people"
Check in was very smooth, ladies at the front desk were very friendly. I even asked to switch rooms and there was no problem. (wanted to upgrade to the suite) Beds were pretty comfortable, but the pull out sofa needed help. Not a lot of things within walking distance. A little store/market and a Denny's across the street. Fantastic spot. Price was very affordable for the outstanding quality of the hotel. Clean, quiet, comfortable, good breakfast, front desk was more than accommodating at a 12:30am check-in. Would absolutely stay here again. I'll be staying again. The rooms are clean and comfortable. There is plenty to do in the area. Had a perfect bed after a long day at work it was great coming back to the hotel for a good movie and a comfortable bed . "Comedian With A Night Off"
I was performing around Indiana and Michigan for a couple of weeks, but I had a few night off between gigs. I decided to stop at this hotel for a relaxing evening. Not a lot of flare, but all of the essentials were met. The staff was very accommodating, and the rooms were quiet and comfortable. This has been one of the best hotels I have stayed in and I plan on staying at Best Westerns more now. We came up to take our son to a specialty doctor in Warrenville and we will be coming back in a year. I plan on keeping the name of the place in a file so that I can come back next year. We stayed at choice hotels the other times because I was able to receive a free nights stay after two nights. I wish that best western had something like that and I would stay more there. We were gone for 5 nights. This hotel is just far enough away from the hussal and bussal away from the large city of Chicago to enjoy the evening before fighting the traffic going into town, or to relax after getting through the the fight. There are several places to enjoy breakfast, lunch and dinner if preferred close by. I had to stay only one night but the room was comfy any clean !.. The service was outstanding ! The breakfast was really good and free! Overall it was great ! Way better than the hotel across the street ! That's for certain . Close to the express way too! "A great place to stay at"
We had a great stay here. Everyone was very nice, helpful, and my room was clean. Breakfast was very good, a lot to choose from. I was able to use my CLC card at this location. If you don't have one of these little cards, you're missing out! I couldn't ask for a better stay. The staff was friendly and accommodating. I took my kids swimming and they had a blast in the kiddie pool. The room was clean. The beds are extremely comfortable. I love the new breakfast with pancake maker and flavored waffles were a hit with the kids. The staff was a little busy in breakfast but did an amazing job keeping up. I couldn't have been treated any better by the staff at the front desk. The room was clean with no issues. The hotel was perfect for just wanting to get away from the house and relax for a few days with peace and quiet. I would recommend to anyone and more than likely stay there again when I need some r & r.
Amazing Service, Lovely Rooms, Very clean, Had whatever I needed, pool and hot tub were amazing. The breakfast was good and their lunch and dinner menu were delicious. They kept it quiet and there were 3 birthday parties all under control. Had an amazing weekend. "Very nice staff and great time for the whole family"
I just wanted to start this by thanking the entire staff for making or stay with them very enjoyable. The room was more than large enough for myself and 4 kids. The pool was very good for my little ones and older ones. Breakfast was great. Everyone found something they wanted and they all had something different. The food asset the bar was good and again they had something that everyone liked. Anytime we needed anything they were eager to help. Thanks again staff for making my son's birthday weekend getaway an excellent time for everyone. I really enjoyed my stay. Everyone was helpful and nice. Great breakfast. My children and I had a standard suite. The rooms were very spacious and clean. The beds were very comfortable. We had great internet and cable service available for guest. I would definitely will be staying here again. "Second visit and updatrs made." We visited this hotel two years ago and had a good experience so we decided to try it again. Our experience was the same but unfortunately housekeeping didn't clean our room and our comforter was dirty. The great thing is that they updated the hotel a bit and added the ability to order food from a full menu from 5-11pm. Even though there was a cleaning oversight, we will visit again because they have good rates and the they have great people working there. So, I arrive and proceed to ask if there are any bed bug problems. The receptionist laughs and says that it's a really expensive problem. I agree. She said, "not right now." I go to my car to get my laptop and walk in to hear the receptionist and a maintenance man discussing where bed bugs have been discovered on the last shift. Wonderful. I do my check and find no bed bugs, however, I do find a very unclean room. The vents are visibly soiled with black debris. The carpet has been recently replaced, however, it is extremely unclean. The counter surfaces to the desk, night stand, and coffee table are visibly soiled from the last occupants. Then, when it can't get even worse, it does. A bunch of inconsiderate people walk in to the room next door jumping around with the TV blaring until 2:00 am. The only thing clean about this room was the bathroom. Too bad people notice more than just the bathroom. Don't let the modern reception area or exterior fool you. The pictures and reviews of this hotel made us drive a little farther south than we intended. The hotel staff is VERY FRIENDLY and the property is well maintained and clean. The common areas of the hotel were absolutely freezing during our stay (originally had 2 nights booked but cancelled the 2nd night after hotel was so cold) as well as the very kid friendly pool...my husband said he doubted it was even 60 degrees! The hot tub on the other hand just about scalded you. This was reported to the manager, who immediately went and addressed it, but the freezing cold pool was not going to warm up that quickly or the common areas. The room was "ok"...clean but very small as compared to what the pix showed. Overall - hotel was so-so, employees were great. Would not drive out of our way to come again though. "clean and friendly enough, but a bit isolated"
The room, the hotel, are what the English call "bog standard" - neither good nor bad. The breakfast, for example, was certainly adequate but nothing remarkable, likewise the rooms. There were, though, a couple of reasons why, although the hotel was reasonably well kept up and the staff helpful, I might nevertheless not stay here again. The first may not be a concern to others: a motion detector inside the front door of the room so that, when anyone in our party of four got up in the night to use the bathroom, the light came on and half the bedroom was illuminated. (I'm a light sleeper, so it bothered me.) The second problem, again perhaps not a concern to others, is the relative isolation. There's a Denny's across the street, and a gas station, but other than that not even a convenience store much less a Walgreen's or a mall. As it happens, we're stuck here in bad winter weather, and it would be nice if there were more options within walking distance. I imagine that in the summer, of course, this is not an issue as people head off to the lake. I needed to meet someone in a mutual place in Portage and went to ask about sitting in the bar area at this hotel. Not only did they allowed us to sit and talk, they even opened the bar for us a little earlier than scheduled. I was so impressed that I asked for a tour of the property and a few rooms. Everything was very nice! And the waterpark style pool area is a great addition for families. There was a childs birthday party going on which was really loud, but I think that the parents should have controlled that a little better. The staff was very nice and made me feel welcome. I will be staying here to bring in the new year with my chidren. I couldn't have been treated better if I stayed with my own family for the holidays. From checkin to my perfect room through an excellent evening at the bar, everything I ran ino made me more relaxed and comfortable. The pool and hot tub gave my family time to relax and have fun before a good nights' sleep leading to a very tasty breakfast. It's so hard to stay in a hotel over Thanksgiving, This hotel and all it's staff made it simple. Hats off to them for doing such a great job. I couldn't ask for better staff. The hotel and accommodations were excellent. The bar has a good variety of food and drinks. The bartender and housekeeping are friendly. The rooms are comfortable and affordable. The pancake maker in the breakfast area is a nice touch as well as flavored waffles/ pancakes. Would recommend if in town, maybe it will become your new home away from home. Great access with a nice quite room, less than a mile from I94. Several newer eateries such as Dennys, Longhorn, McDonalds and much more. Nice area for breakfast dinning. Afternoon bar off the lobby area. 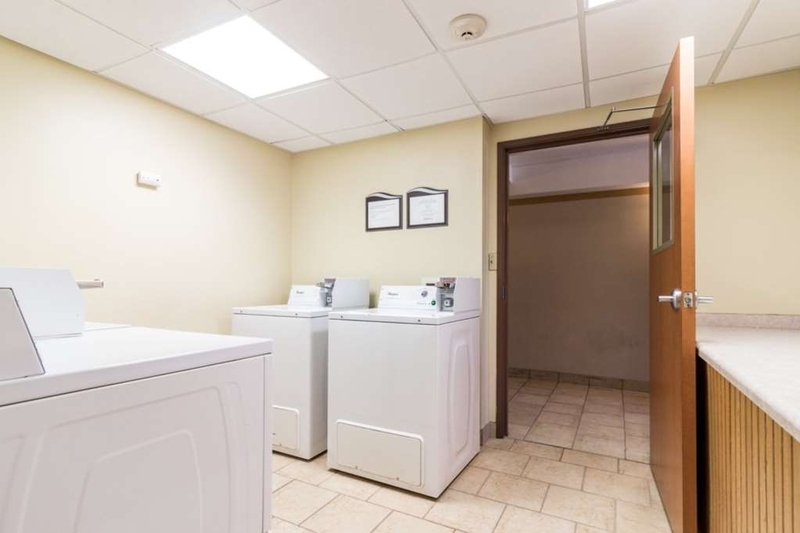 "Great Location, Nice Lobby and Rooms"
This hotel is right off off 94, really convenient. Stayed here twice when traveling from Chicago and the South Bend hotels were all booked. It is just about an hour away from South Bend so about half way between Chicago and Notre Dame. The lobby and bar area are really nice. Nice rooms if you are with a group to get pizza and sit. The breakfast is complimentary and not bad. Only one waffle maker so one day we were there and there were some youth sport teams there, lots of kids, and the line for the waffles was about 20 minutes. Other than that the breakfast food is good. Rooms are nice and room rate is good. 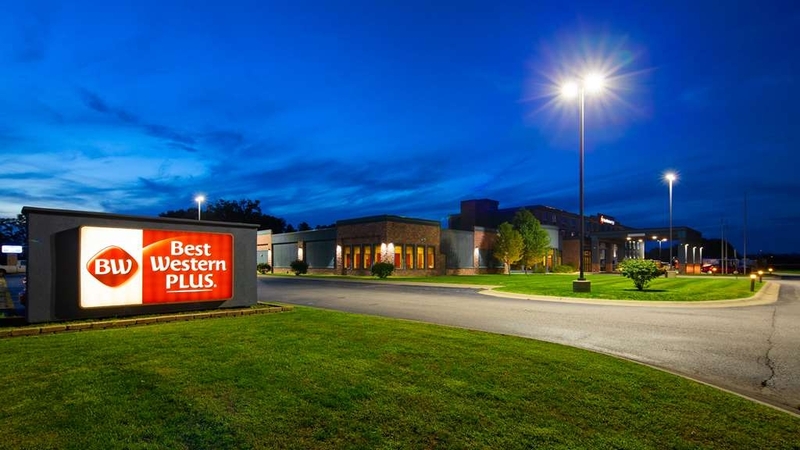 I had a very nice stay at the Best western plus in portage Indiana, I always choose this hotel when on travel due to the calm nature and environment. I am happy to give an excellent review for this hotel due to the experience my family had while staying at this hotel. "Nothing Home to Write about"
Extremely Basic, gargantuan of a property. Nothing really extraordinary about it. We stopped here for a night on our way back from New Buffalo, MI. The breakfast spread was very dull & lay out unsightly. The pool was big but not very appealing. Rooms were nice & big and so were the bathrooms. But housekeeping was slow & tardy. First off the lobby to this hotel is much nicer than nearly any other Best Western I have stayed at. The rooms were decorated nicely and everything was very clean. The value for what I paid was very good in my opinion. Located right off the interstate and just a mile or so from the Bass Pro Shops in Portage. "This is one of the nicest Best Westerns we have stayed in. Hotel is spotless and very modern." We arrived at this Best Western with a reservation after an 8 hour journey only to discover we had put the wrong address in our gps. Melanie at the front desk took control for us and switched our reservation to this location. We were extremely grateful as we were exhausted from a long days travel and didn't want to backtrack to where our reservation was. This was a very fortunate mistake for us , as this is one of the nicest Best Westerns we have stayed in. It is super clean and vey modern, convenient to the highway without any traffic noise and gas stations very close by. If we ever find ourselves in this area again we would without a doubt choose this location . 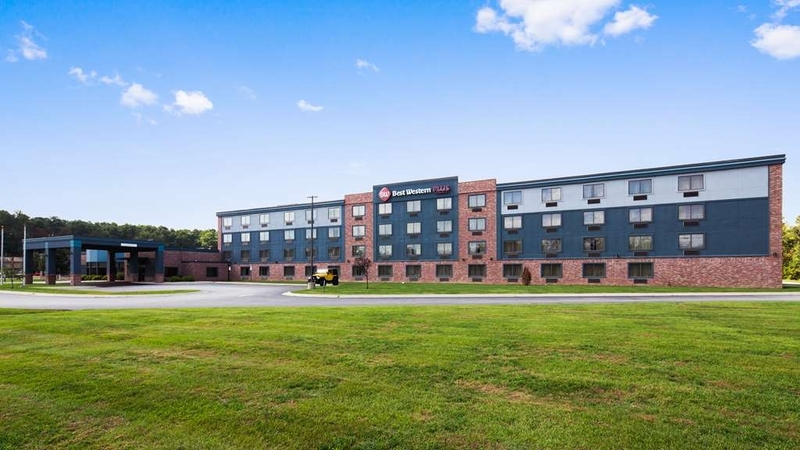 A very quality Hotel, and a super value located near South Shore Rail stop --which is a very inexpensive way to head to Chicago, or simply use it for resting and refreshing. A well managed and run property, . Wonderful staff, comfortable rooms, good value. Close to Highway but far enough that you do not get traffic noise. Went to Quaker Steak and Lube for dinner which is close by which was also a great experience with good food. This was the best Best Western I have ever stayed in. The place was clean and everything was perfect. We had been traveling all day, so stopping at a nice clean hotel for the night that also offered food was a real plus. The beds and bedding were all very comfortable. I could have been in a Marriott! "Mediocre Customer Service, Good Room"
Upon check in, the customer service representative told us we "cancelled" our hotel reservation. I told him we had not, and it must be a mistake. He then told us that the staff person that took our reservation didn't do it correctly so that was why it was cancelled. He then "found" us a room and gave us the key. I asked if it was a King bed as requested, but he said due to availability there was none available. I understand people make mistakes, however I think that the hotel should have been apologetic and not nonchalantly gave us a room with little explanation. The room itself was great - just disappointed in the lack of customer service. "Very comfortable place to stay after activities"
The Best Western Portage was a very comfortable place to stay after doing some family activities in Northern Porter County. The beds were very comfortable, the pool was relaxing and the breakfast was good. I would consider staying at this place again it the situation arises. Perfect for on the road stops. Amenities great. Nails were sticking through carpet (ouch!). Some non-ordinary cleaning was missed, but all typical areas were very well cleaned (Dirty desk edge, dusty "Ultra clean" sign) A little tricky to find coming off of 80/90 Interstate without a GPS. 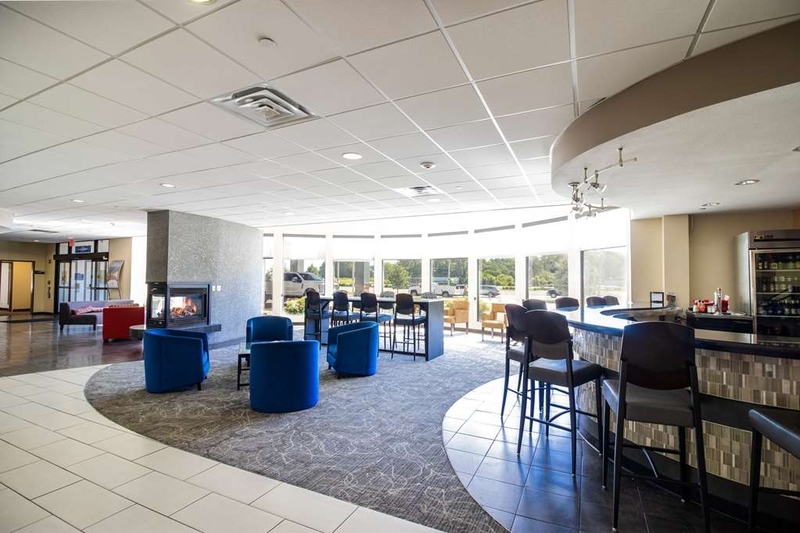 Was traveling across I94 to Chicago as a truck driver about to run out of time, I saw the sign for Bestwestern a the last moment, I was headed to a small mom and pop place o stay. What a life saver and such a nice place . Not much around the area to see but when its time to rest and sleep this was a great place with plenty of parking for trucks which is unusual. I stay here for business a lot, finally this was leisure. From check in to check out this place is great. The staff is beyond good and helpful. The new exterior is very nice, rooms are clean, comfortable and quiet. The new fitness equipment is great, the hot breakfast was very good, tasted like real eggs, sausage good biscuits and gravey and a selection of juices. Also chose it because it's close proximity to Chicago, without the Chicago price. Close to the train going into Chicago and close to the beach and lake Michigan. Excellent all around. The only place to stay in Portage! Good value near Chicago. Very comfortable bed, super-clean room. Stylish lobby with small bar (I didn't have time to visit, but people at the bar looked happy). On major highway but very quiet. Has a nice pool as well. "clean bathroom, but in need of repairs, and maintenance and renovations"
We stayed here Sept. 21-22, 2015 I had reserved an accessible room. The outside looked fairly kept up. However, the interior just seems so dark. Walls painted dark colors. Worn carpet is dark. But also interior in lobby and hallways smells musty! The exterior of the bathroom door had holes busted in it! The bedroom wallpaper above the curtain rod was peeling off. There were cobwebs in corners of the room. Cigarette burns were on bed sheets. My husband sat on the upholstered chair on lt to discover it smelled like body odor! To top it off, we had a "do not dissturb" sign on the outside of our door, and housekeeping took the sign off and put the key in and opened our door! My husband asked him about it..and the man said,"oh, i took the sign off!" however, the main desk clerk said the housekeeping man told her there was no sign there! SO..even though the bathroom was spotless AND very accessible..we will NOT be staying there again!! "will shop around next time i am in the region"
Had another excellent stay at this hotel last week. Thank you so much Melanie for giving us the perfect room for us, we are always so very appreciative. Breakfast was just right as usual and the fitness center and pool were empty so we had them to ourselves. We plan to keep on coming back again and again whenever we are in the area.